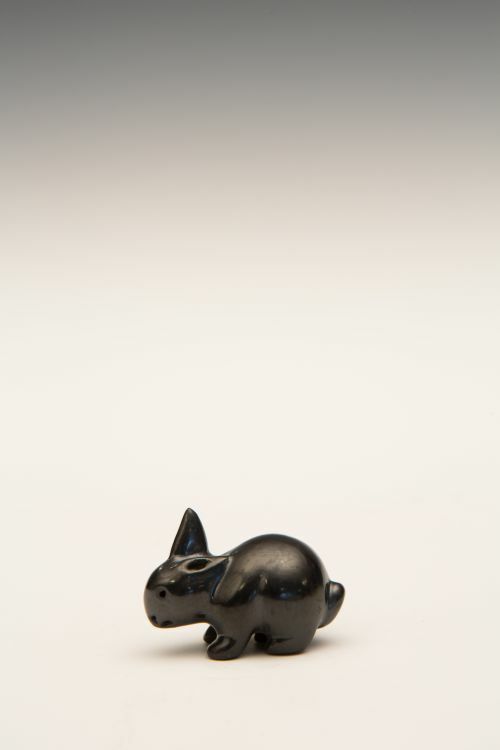 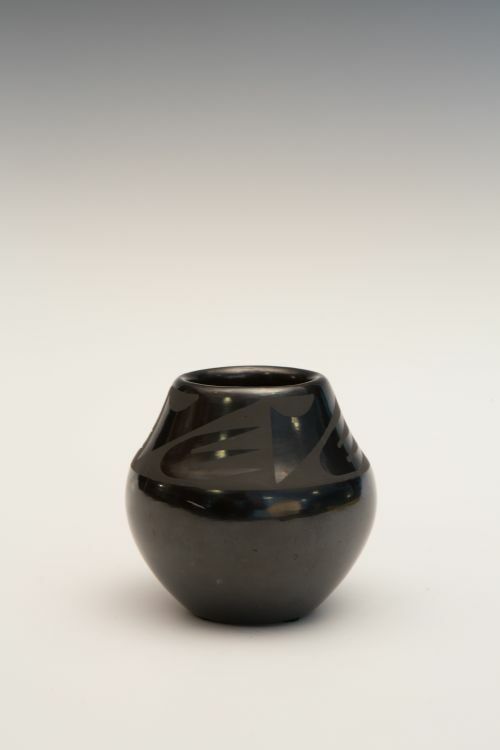 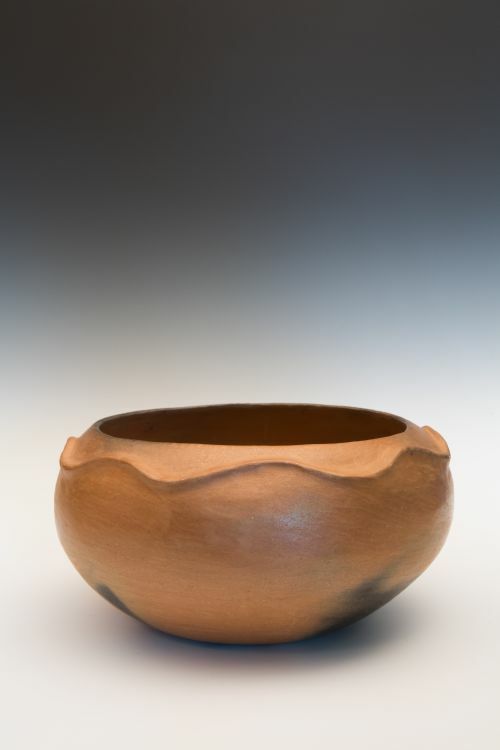 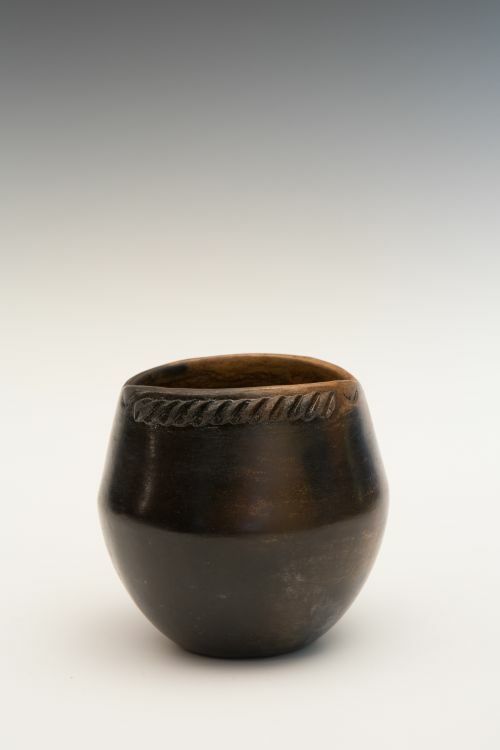 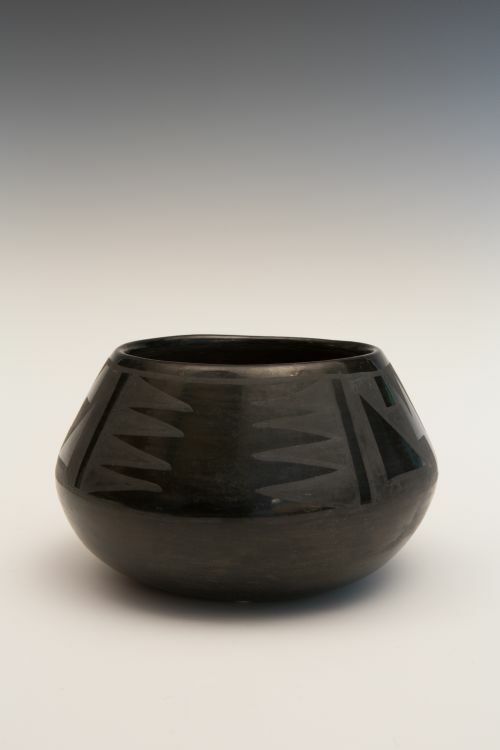 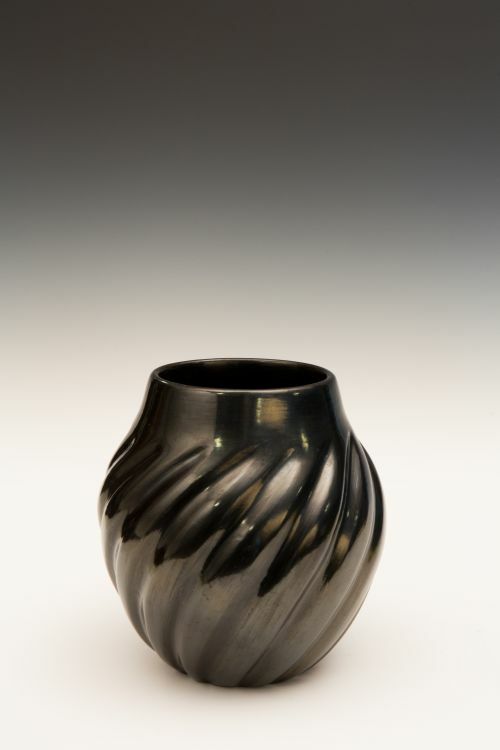 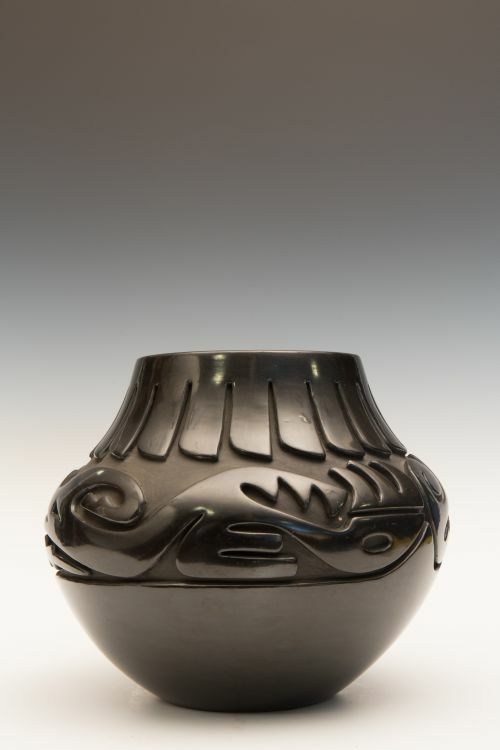 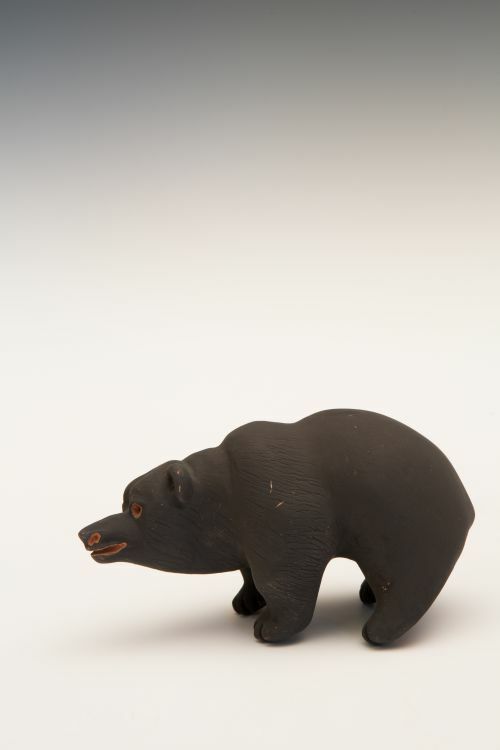 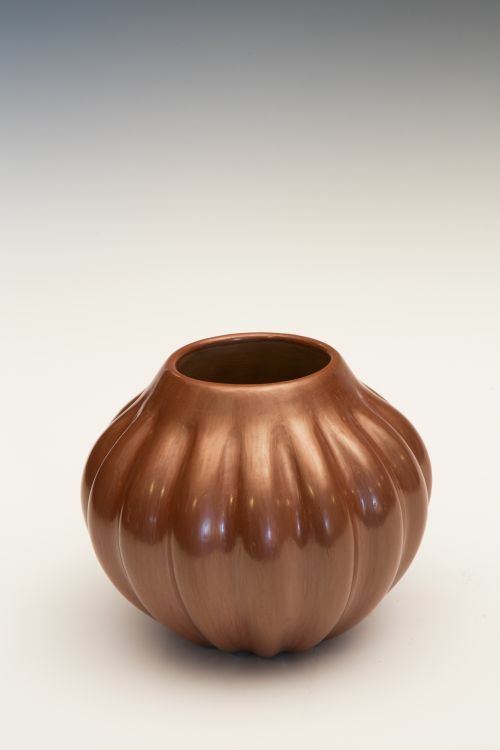 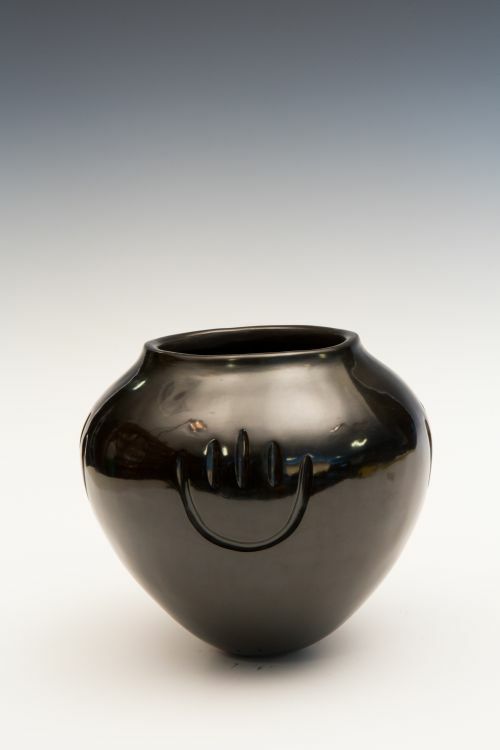 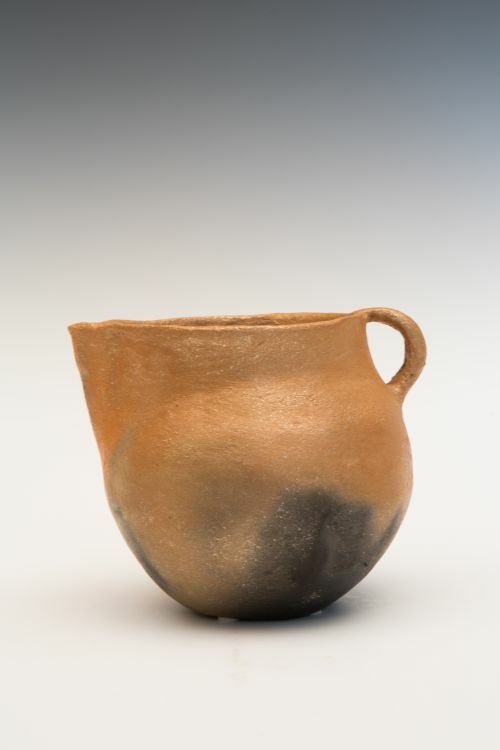 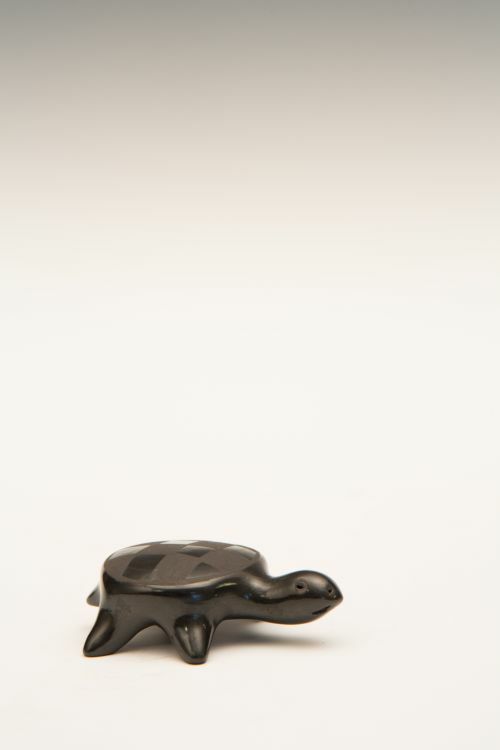 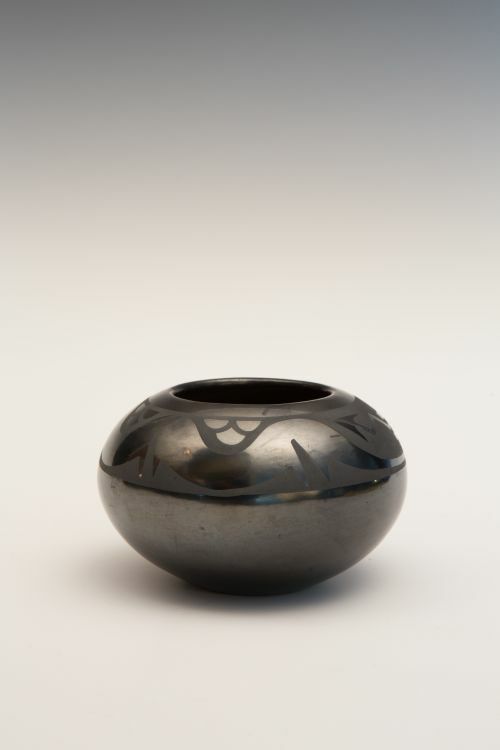 This seminal husband and wife team created and perfected the highly burnished black-on-black pottery. 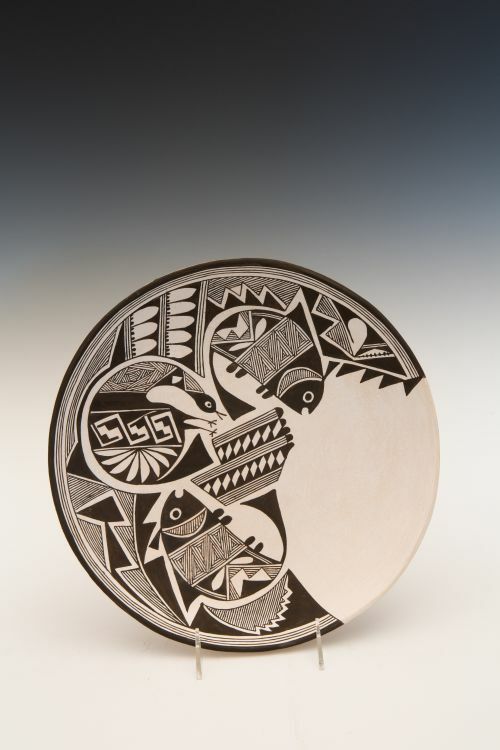 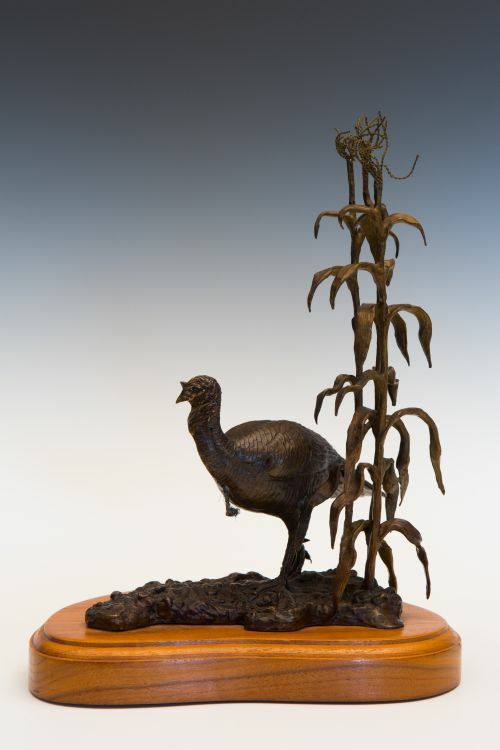 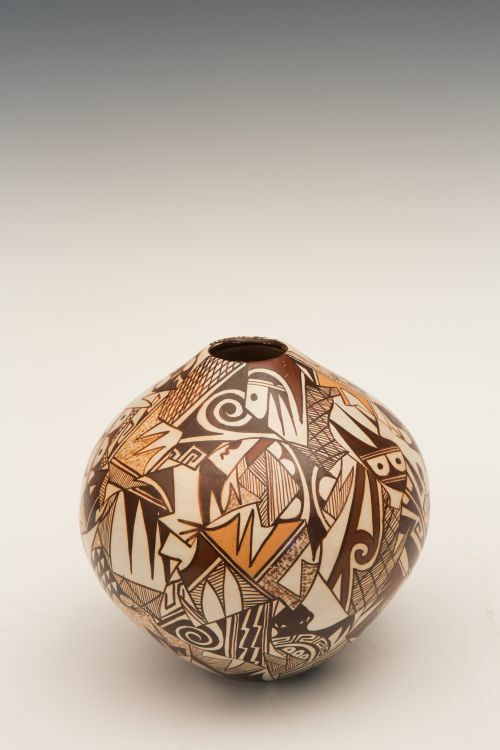 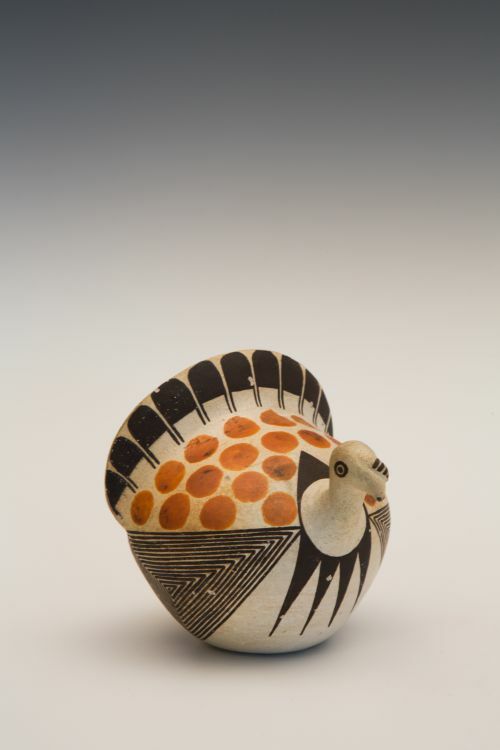 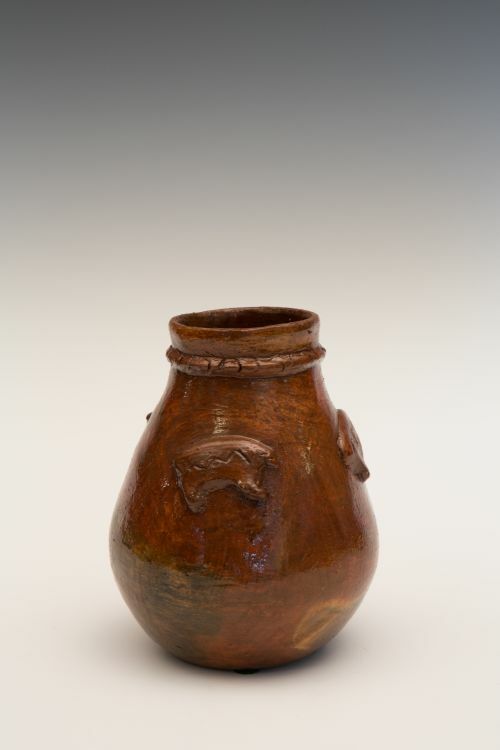 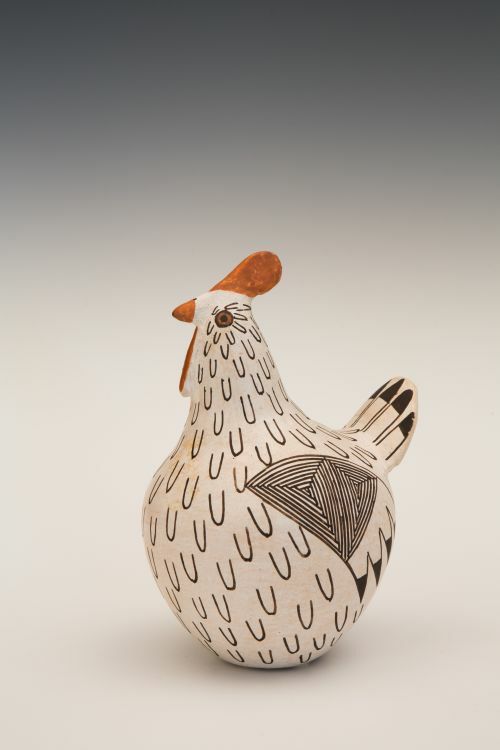 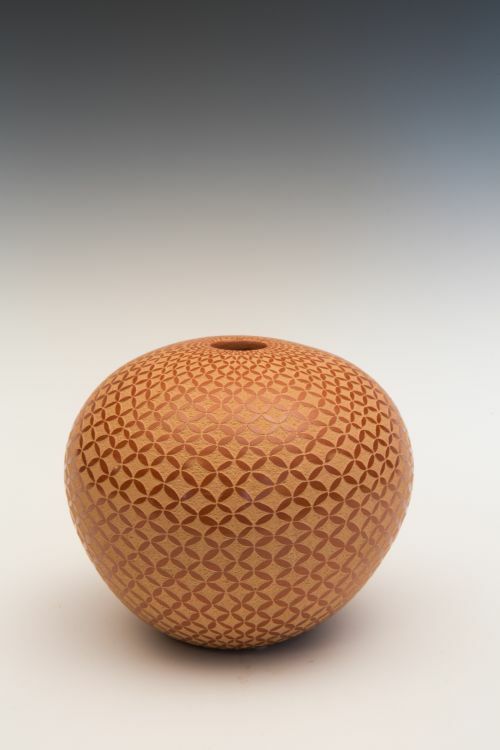 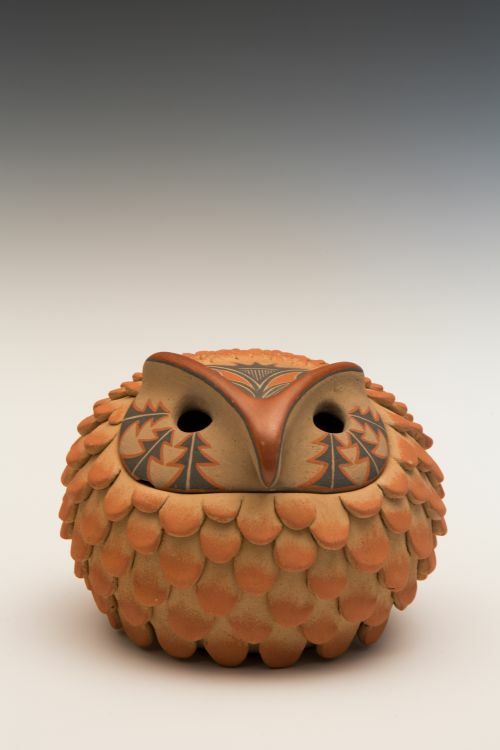 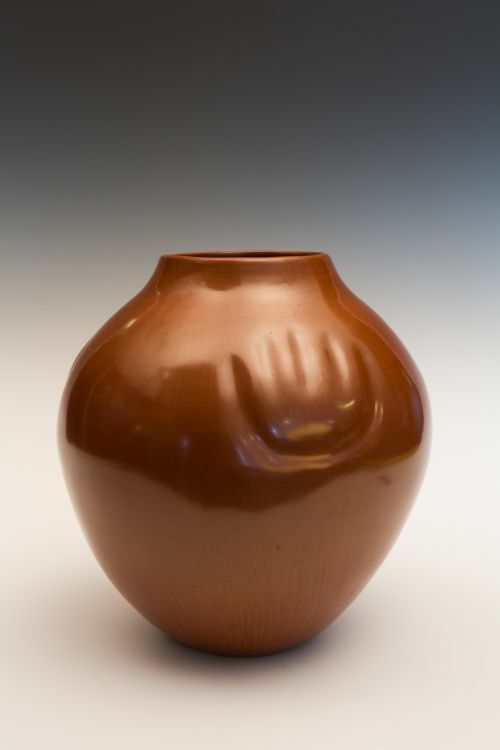 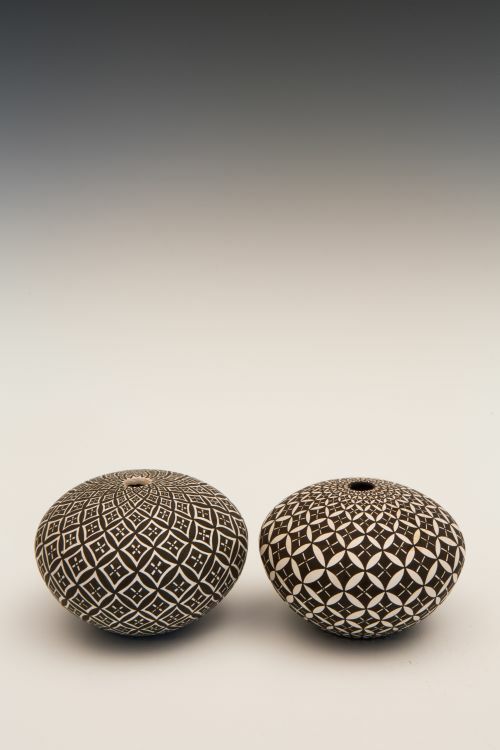 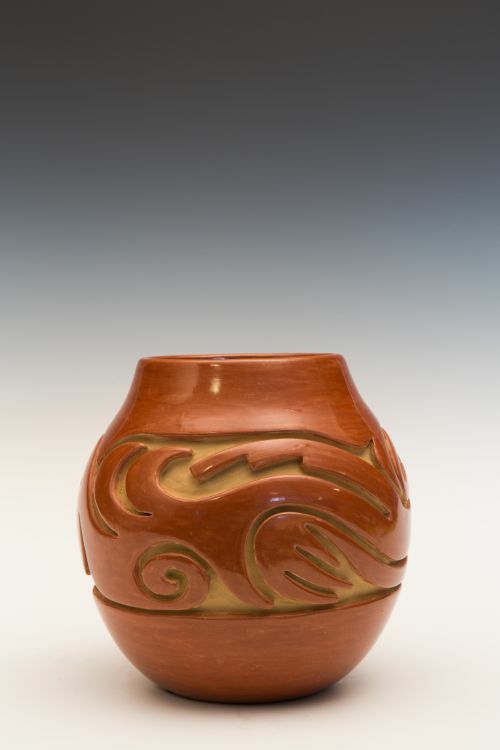 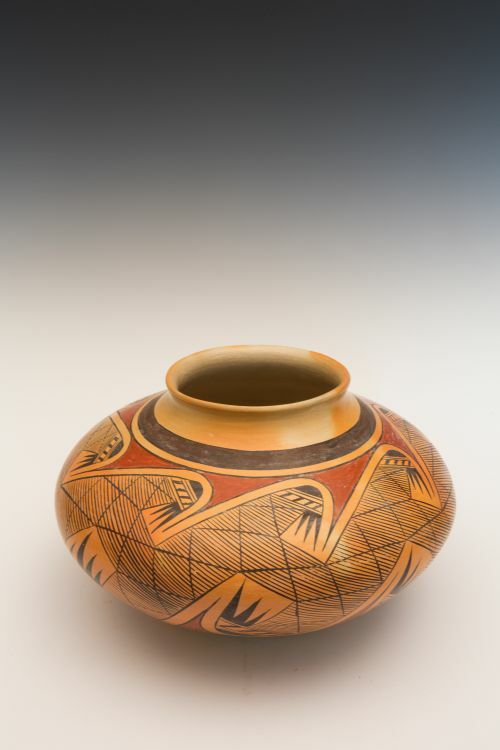 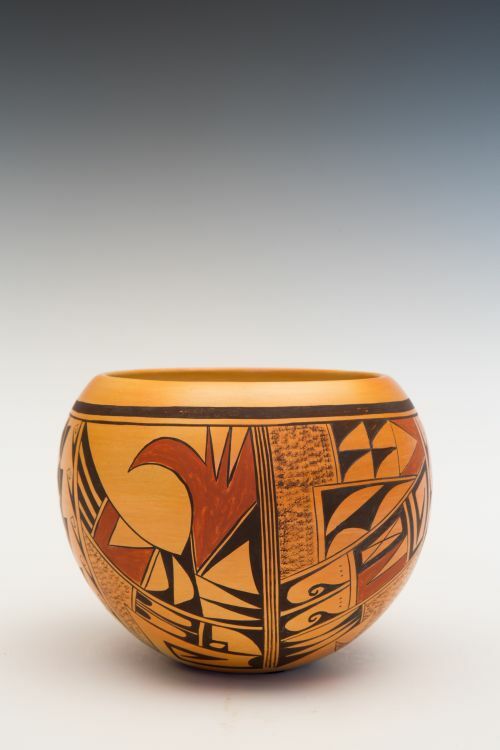 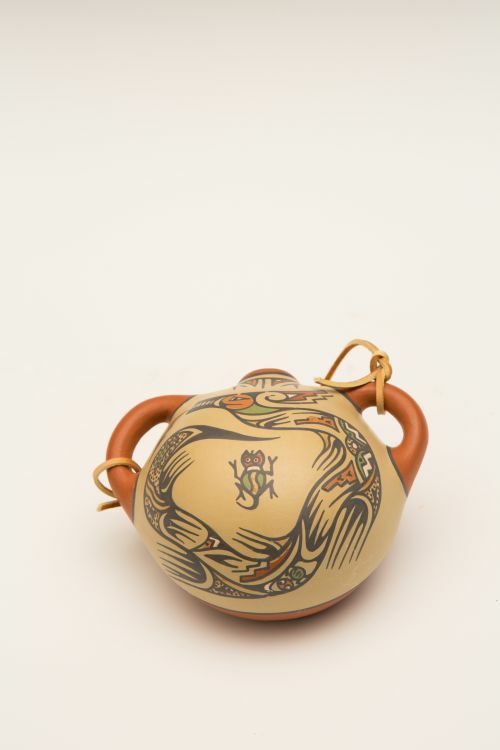 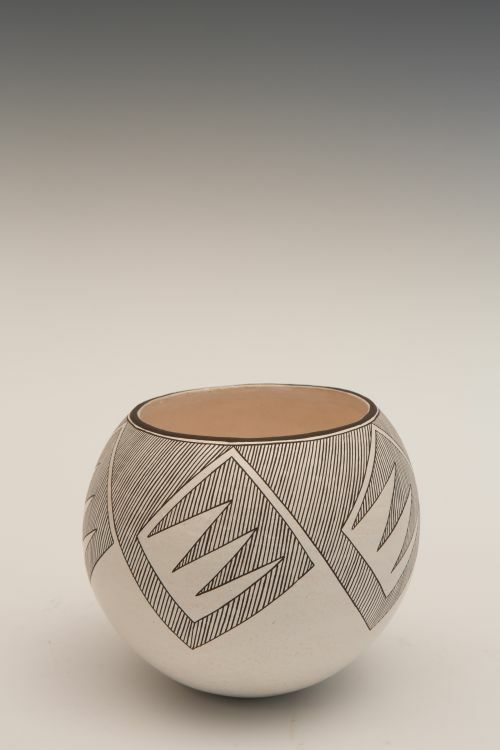 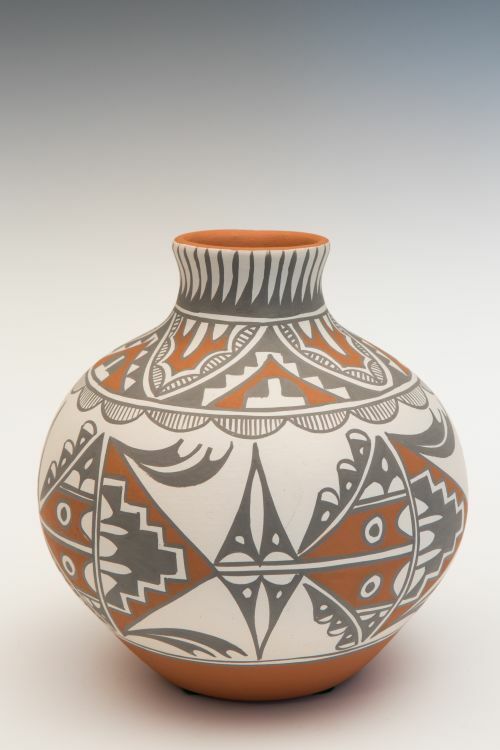 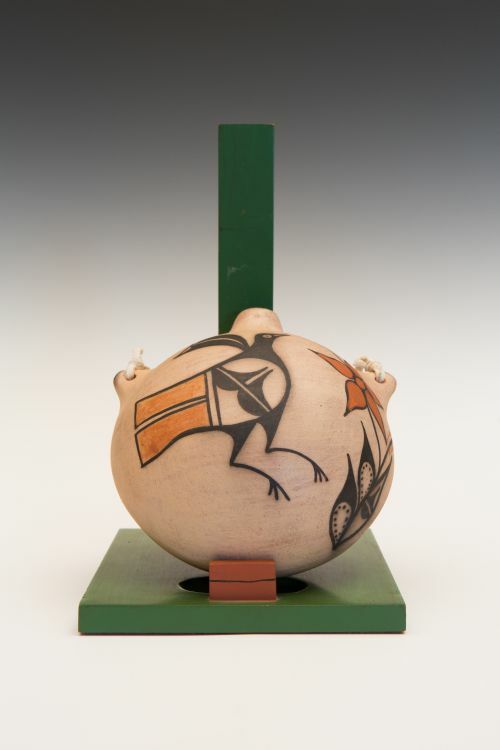 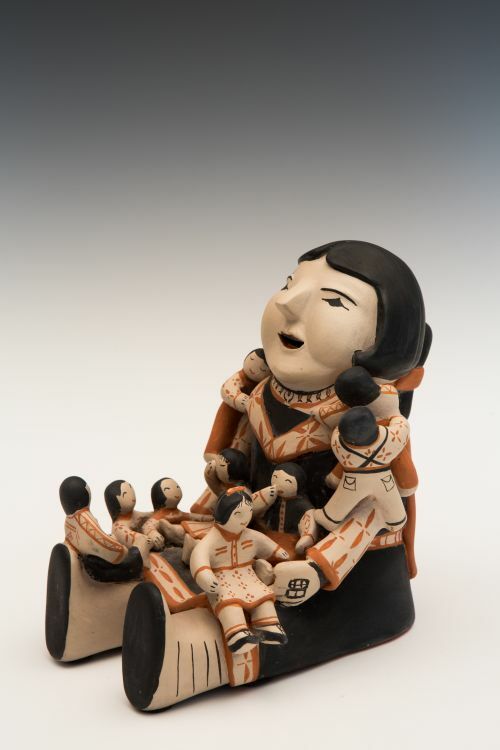 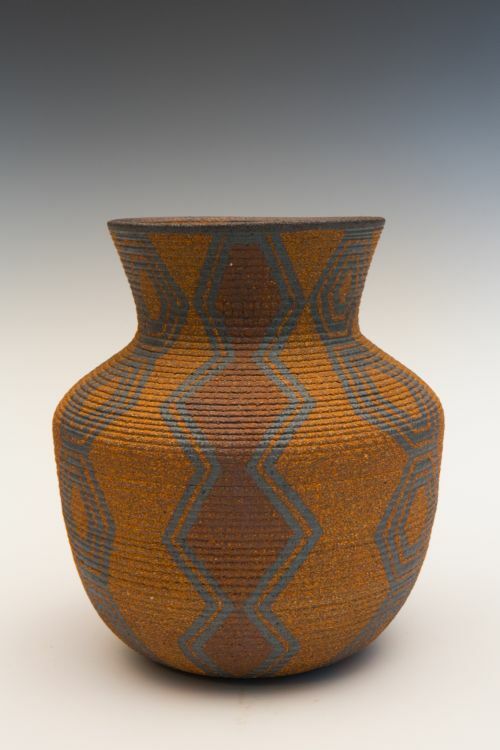 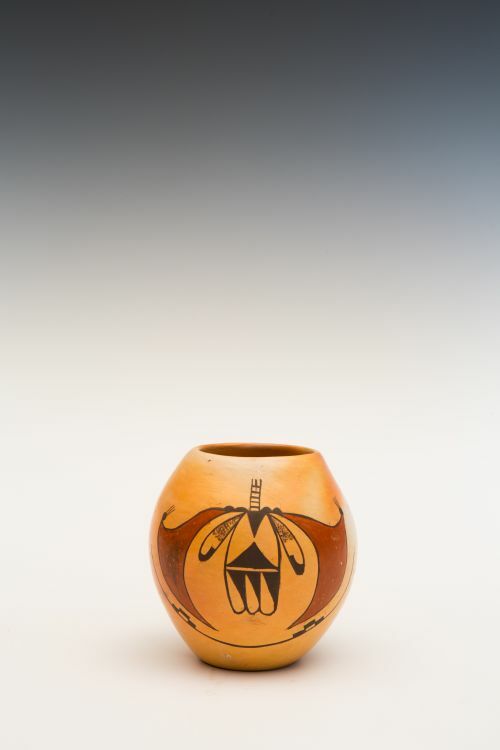 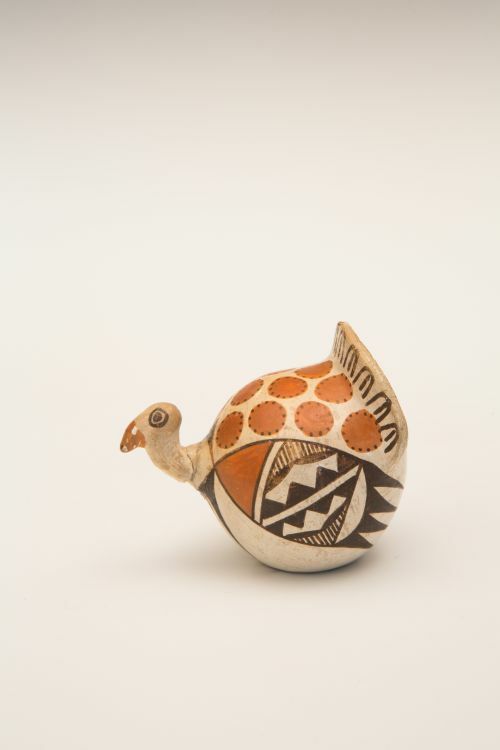 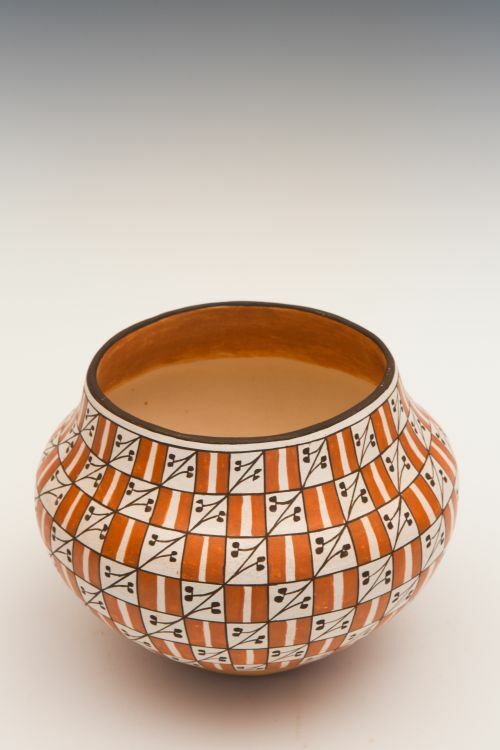 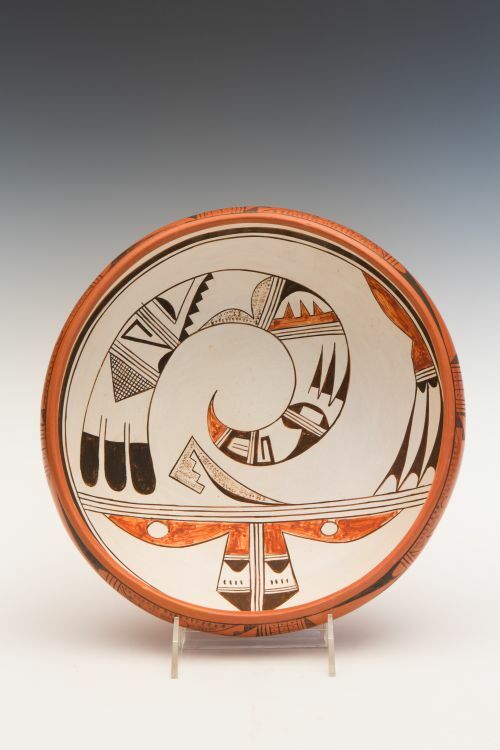 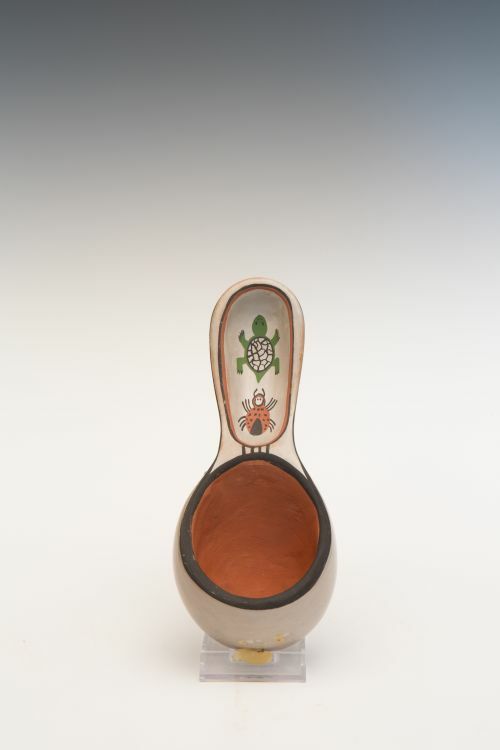 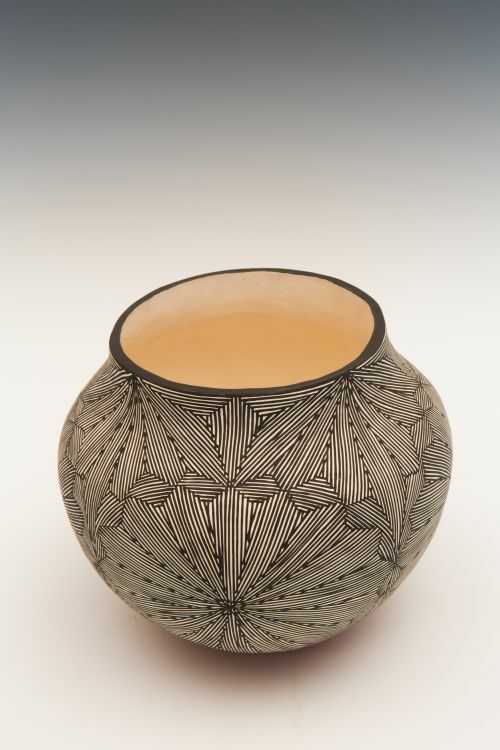 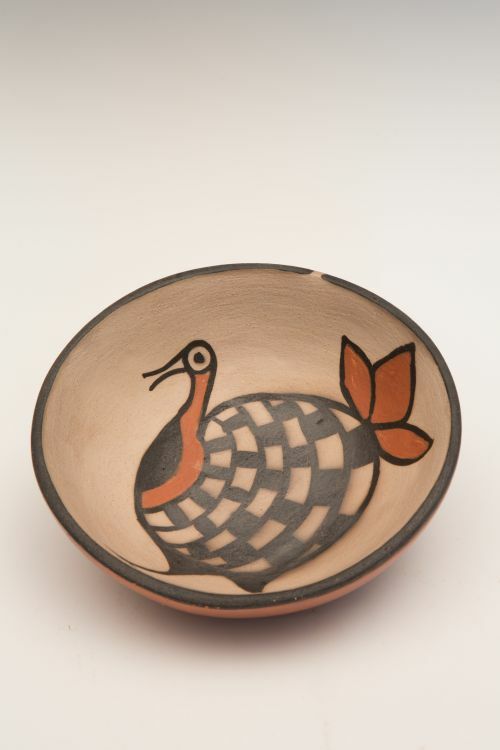 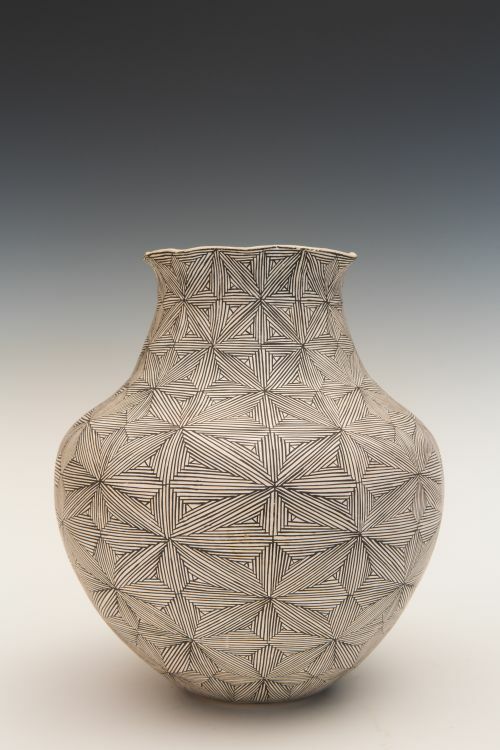 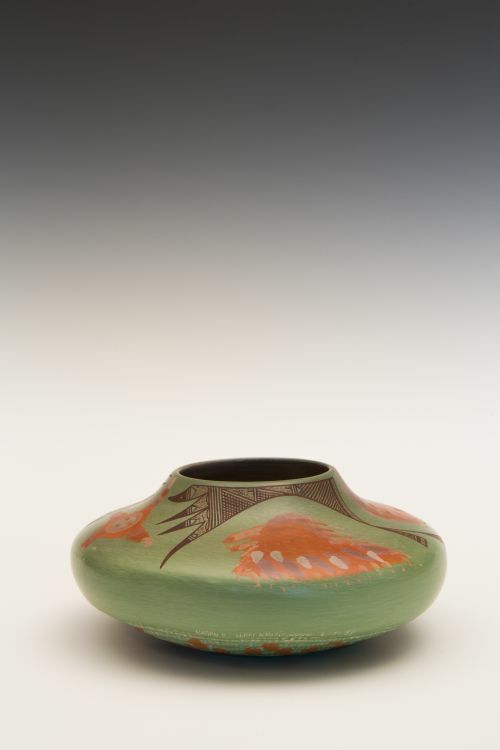 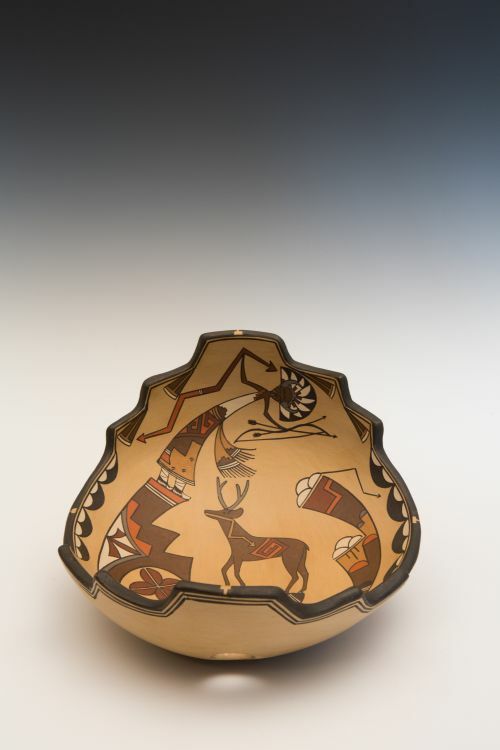 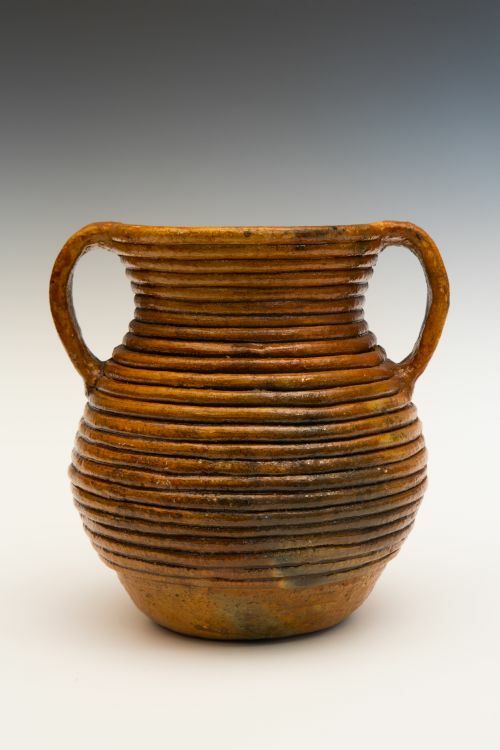 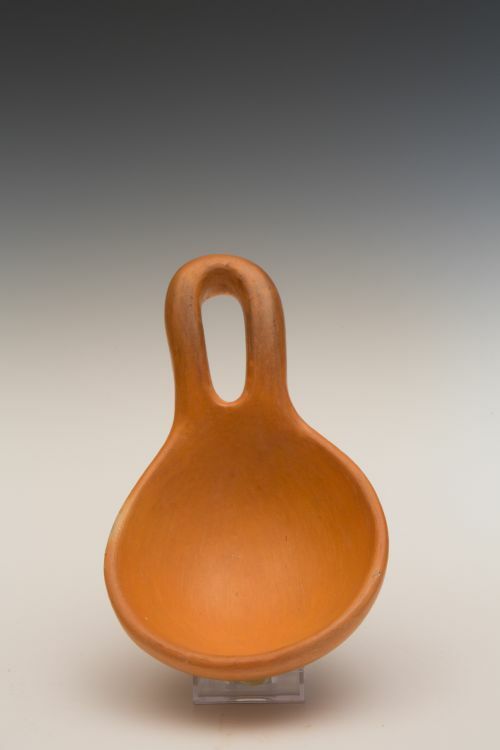 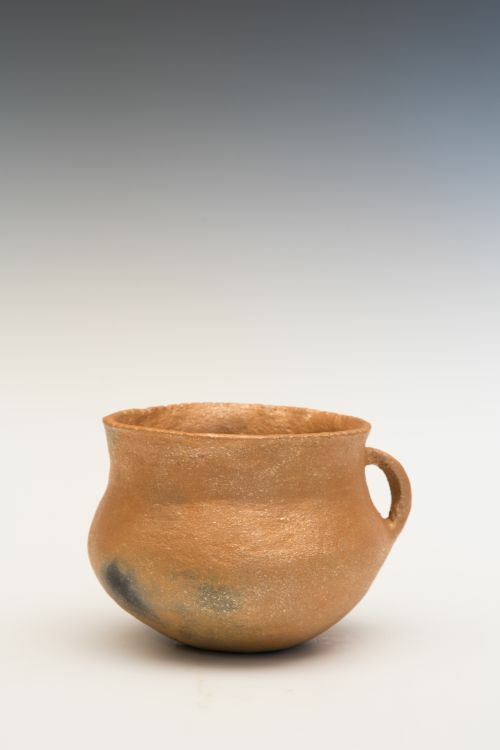 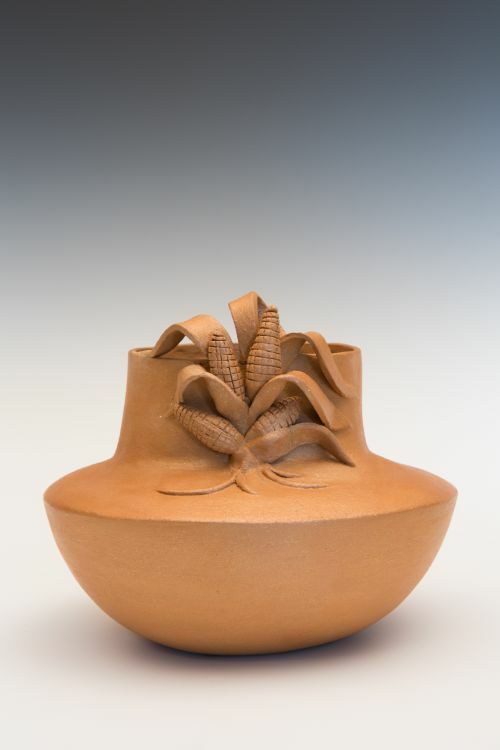 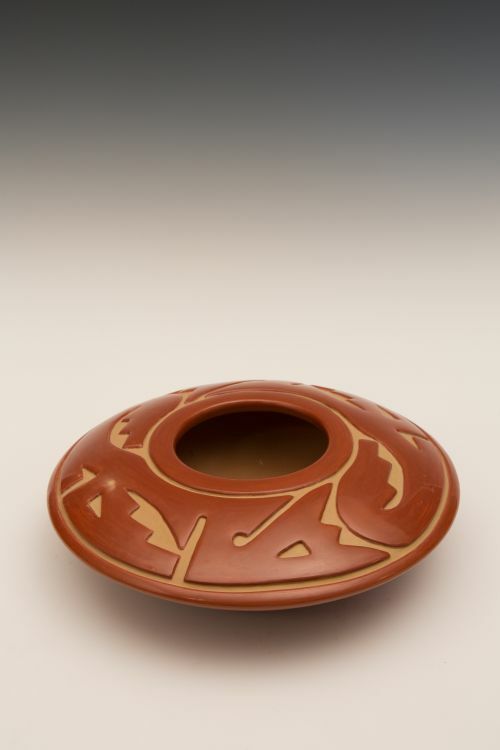 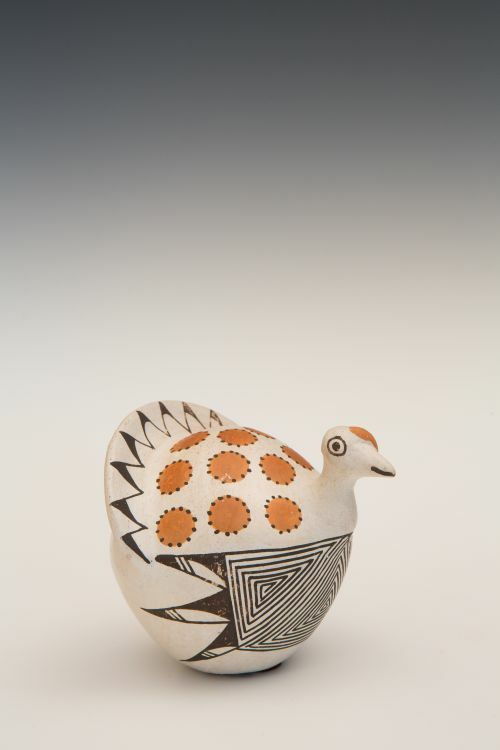 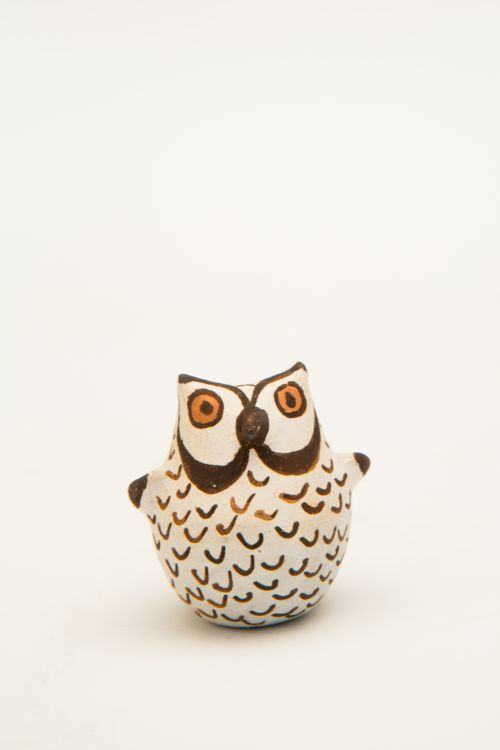 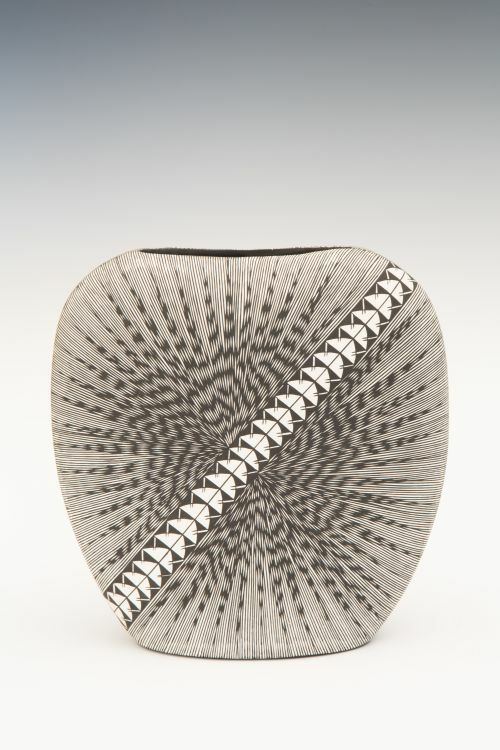 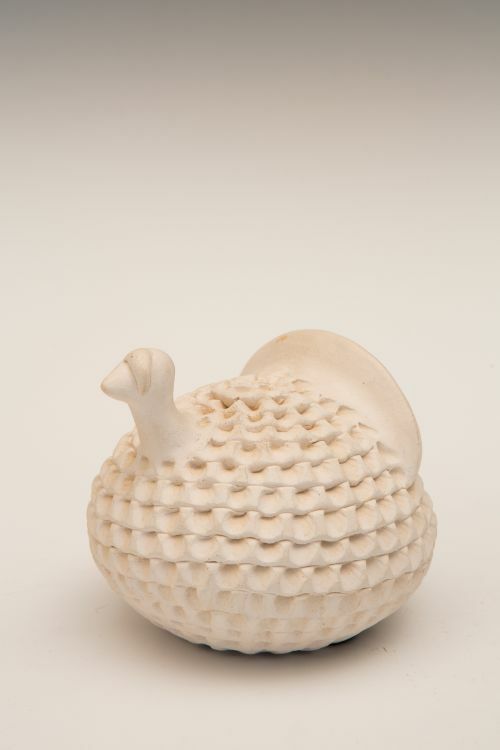 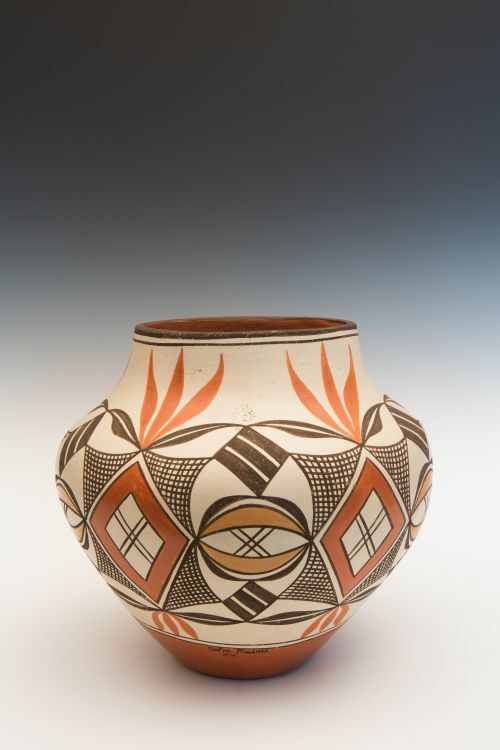 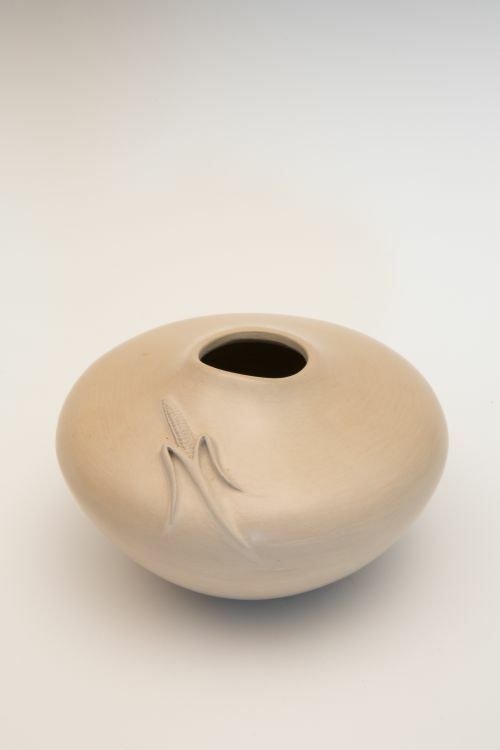 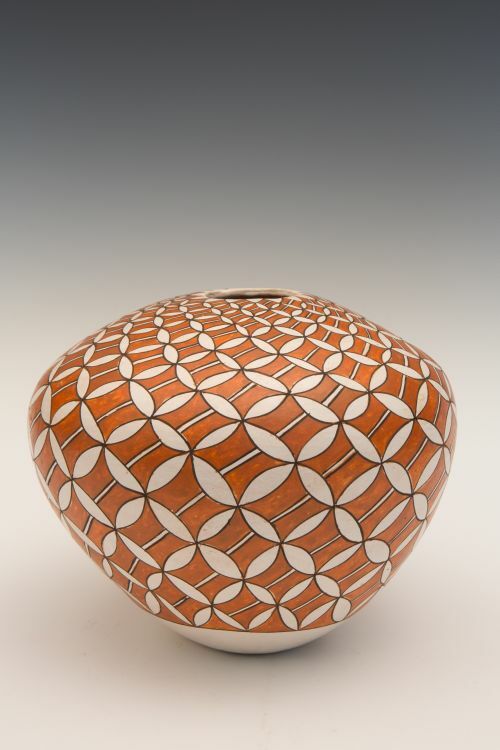 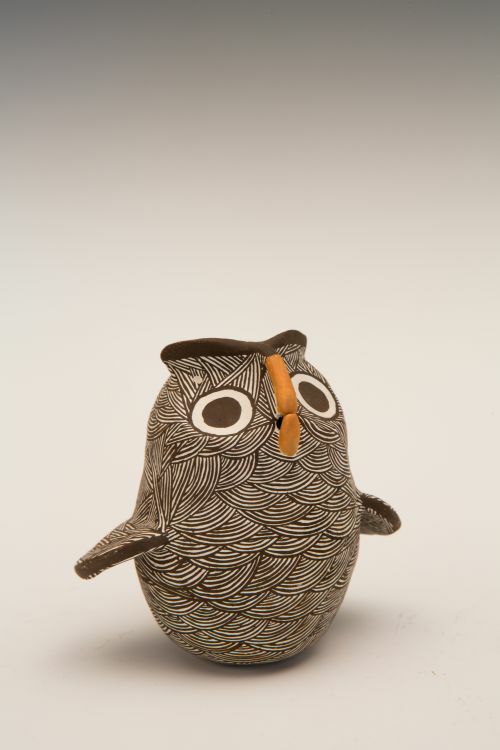 Together they revolutionized Pueblo pottery, creating an art form that is collected around the world. 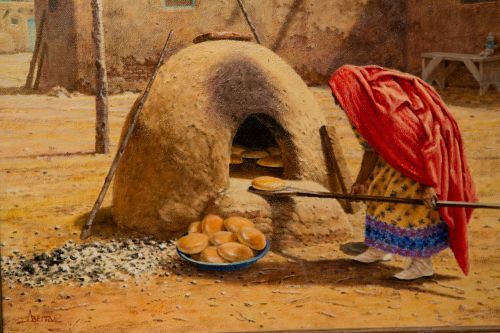 They worked together digging and preparing the clay and firing. 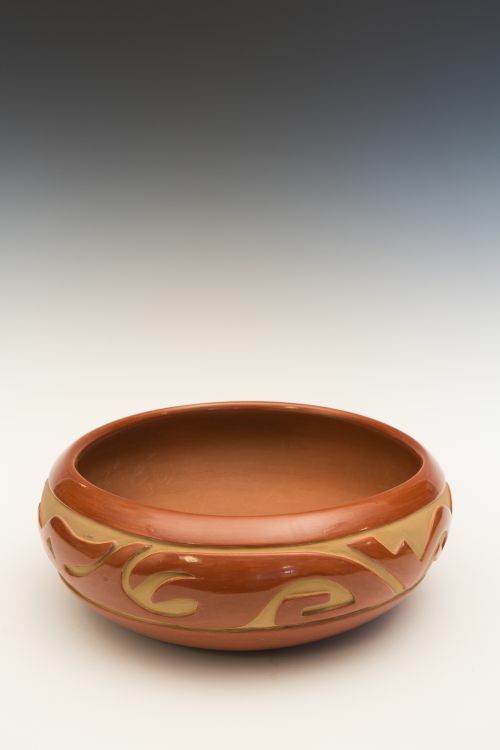 Maria formed and polished the pottery while Julian did most of the painting. 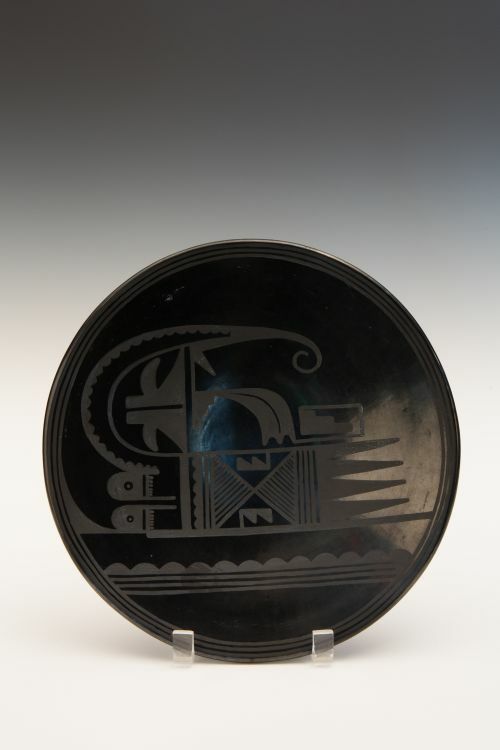 Julian’s painterly skills are on display on this black-on-black plate. 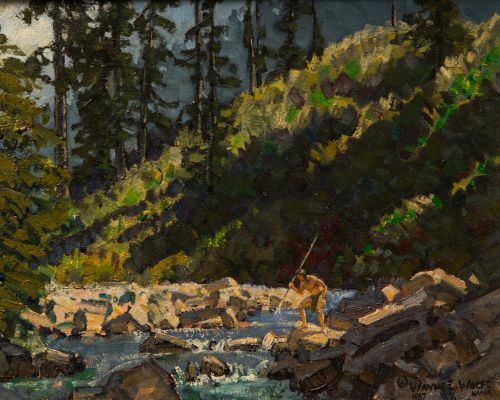 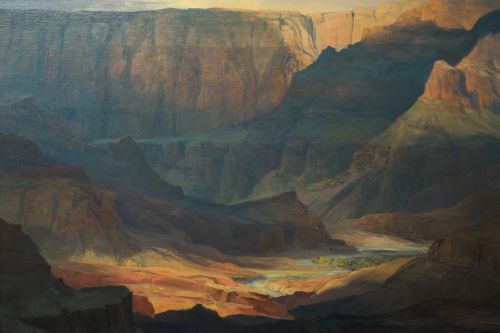 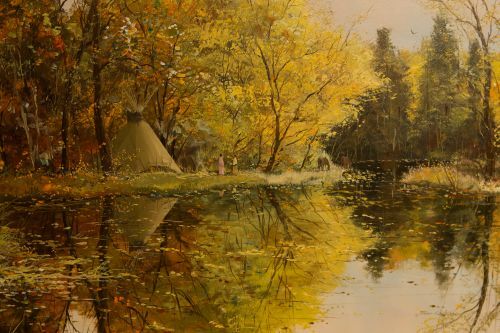 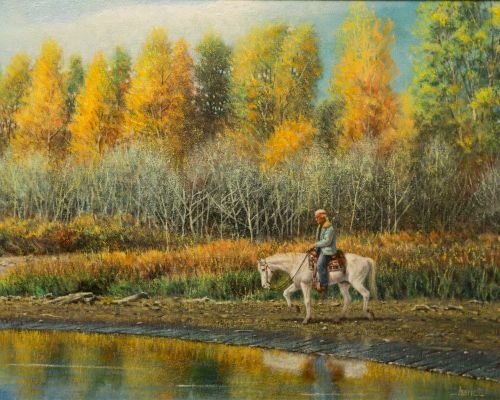 He has framed the painting area with three ground lines and undulating water. 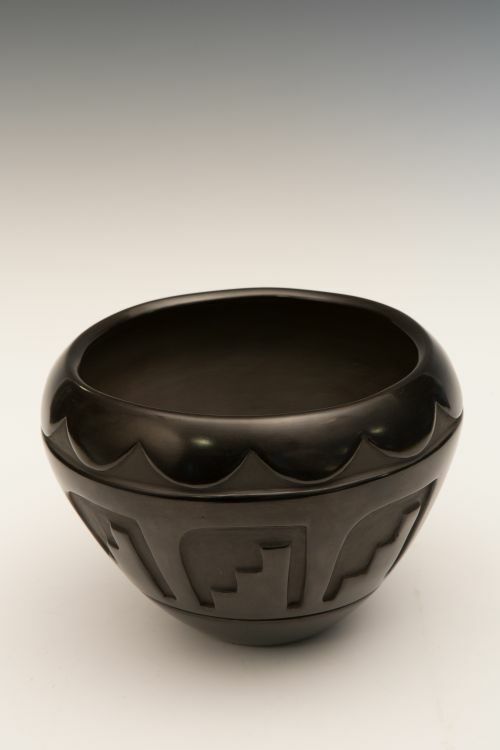 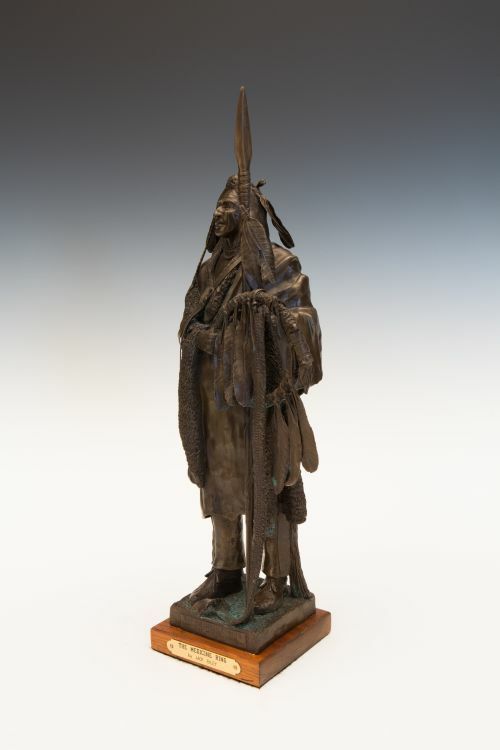 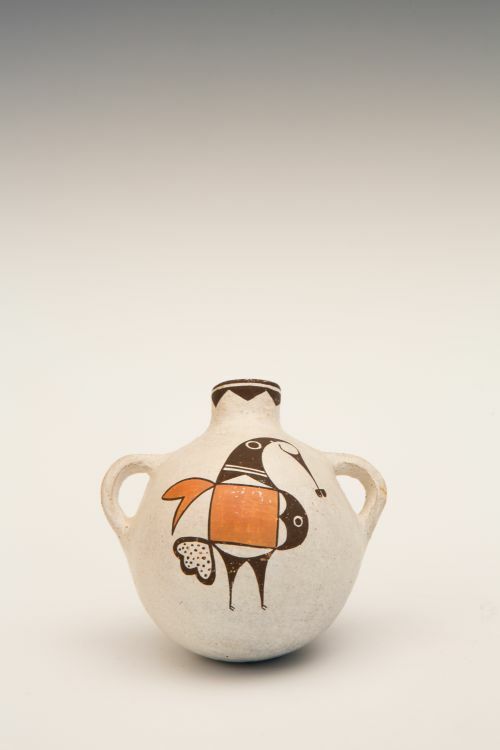 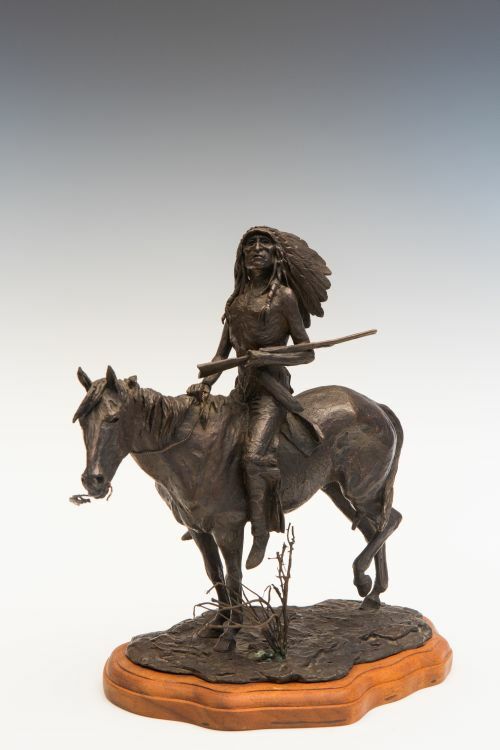 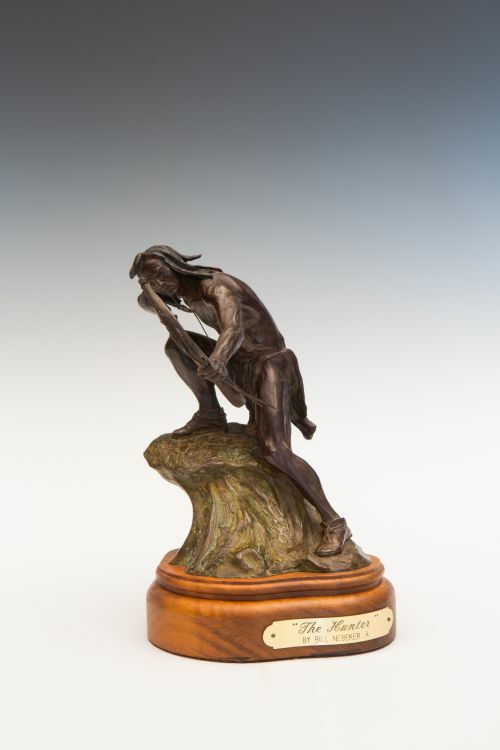 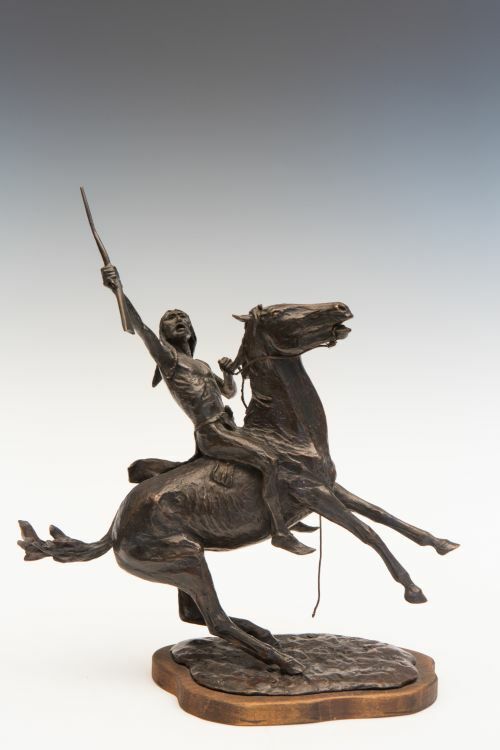 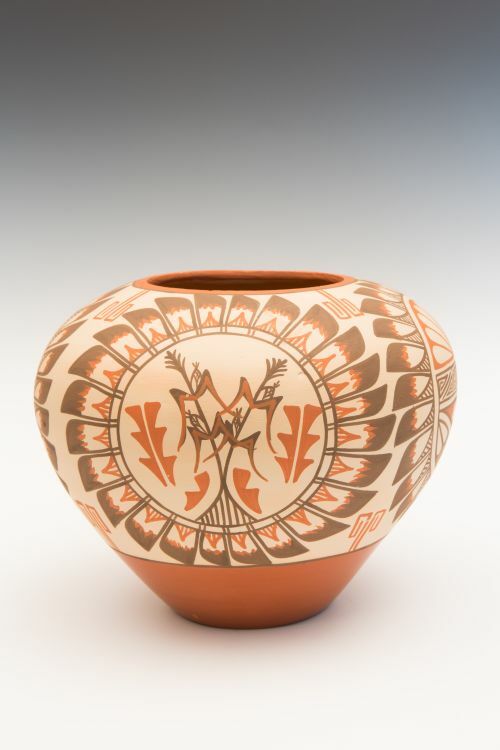 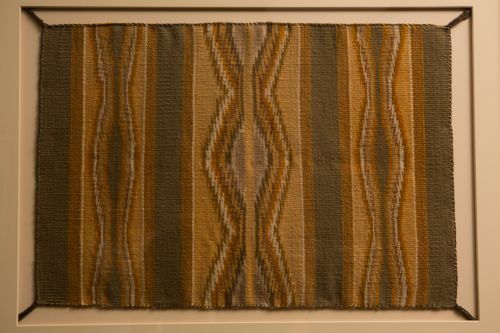 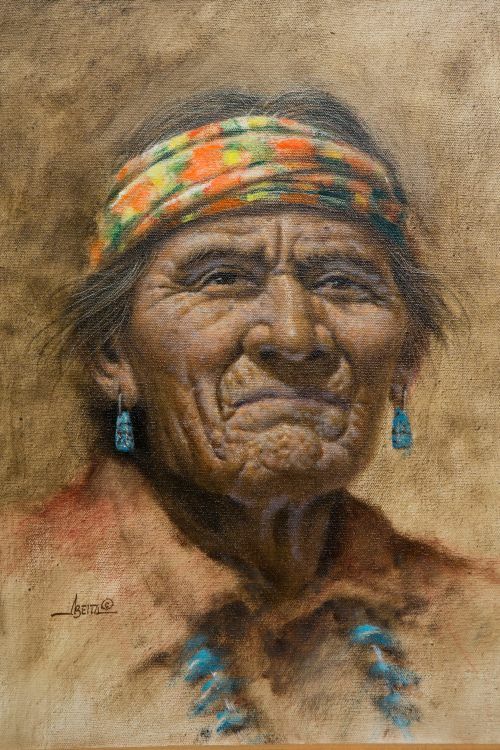 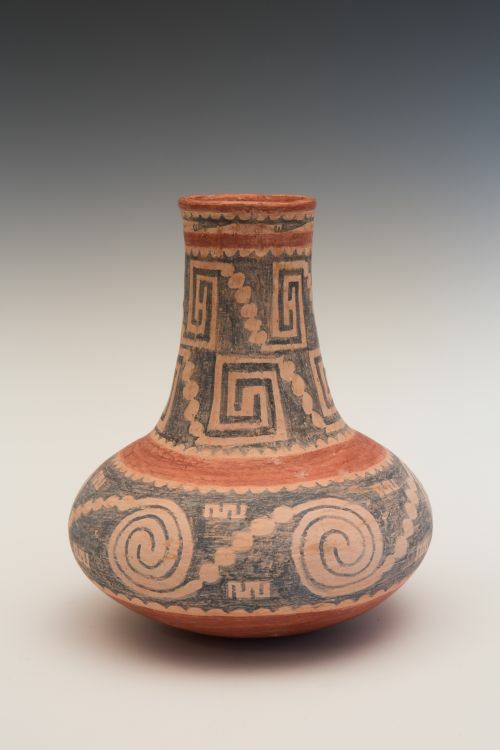 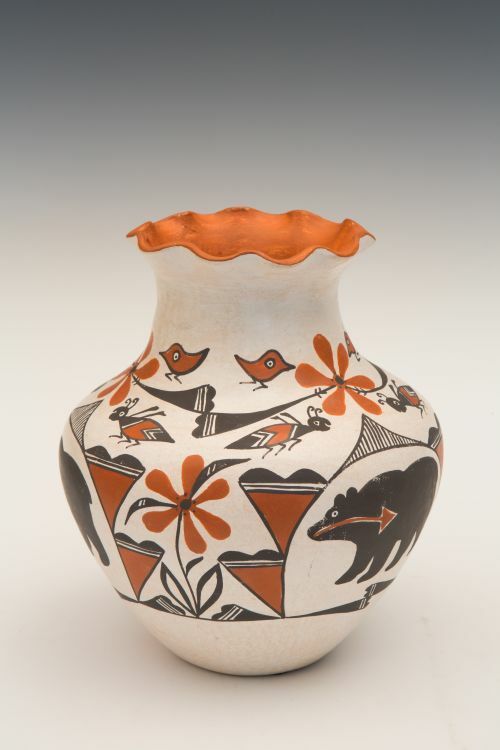 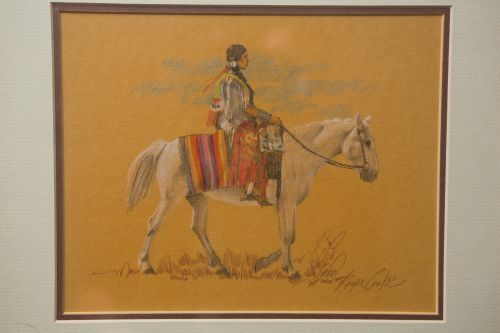 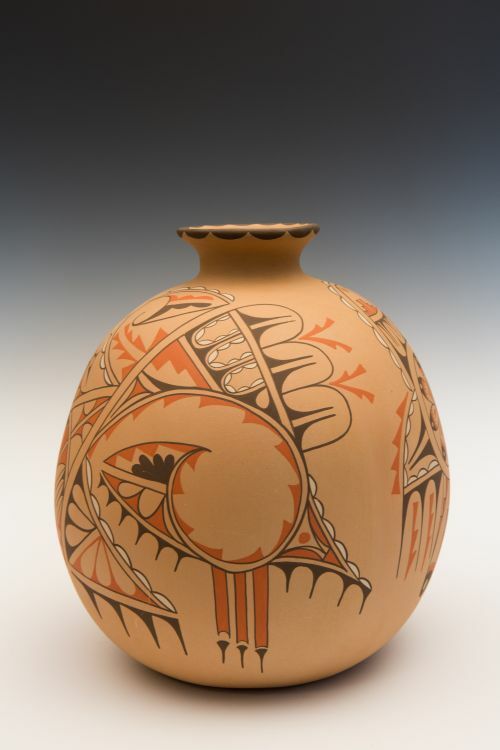 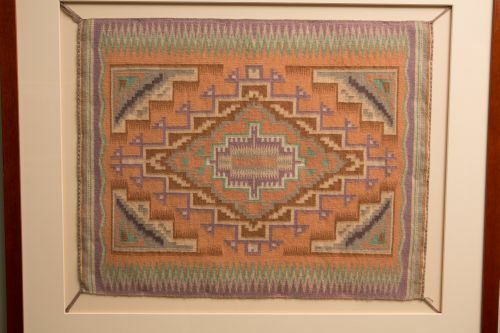 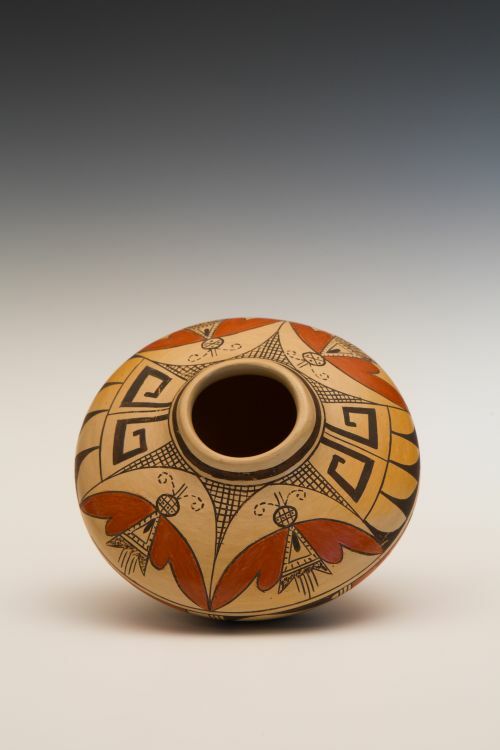 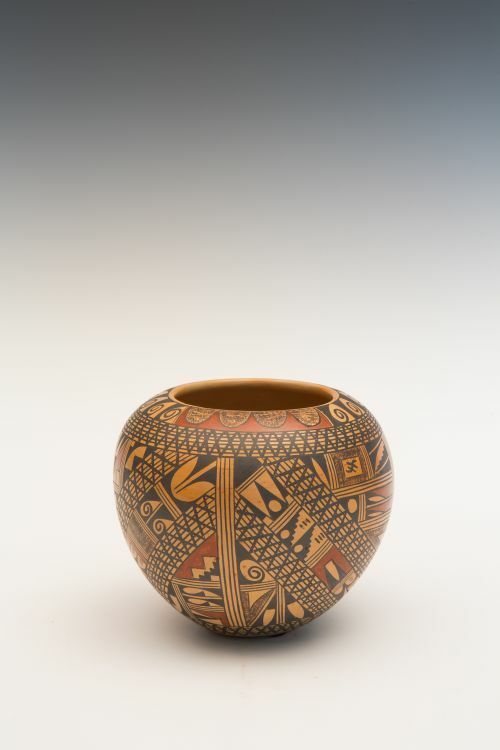 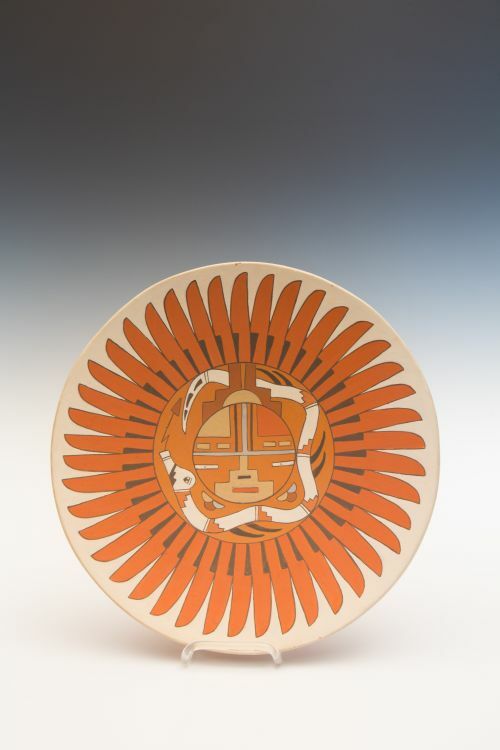 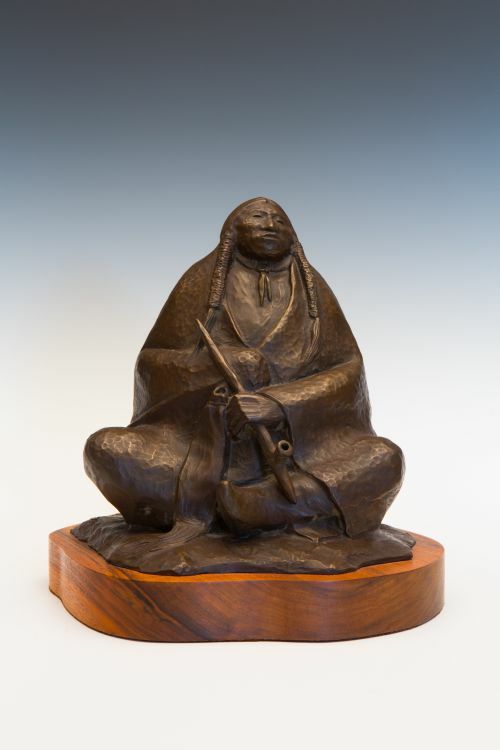 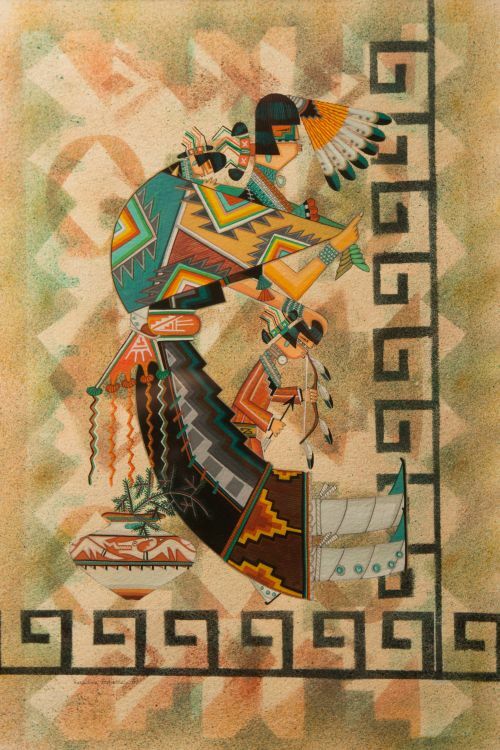 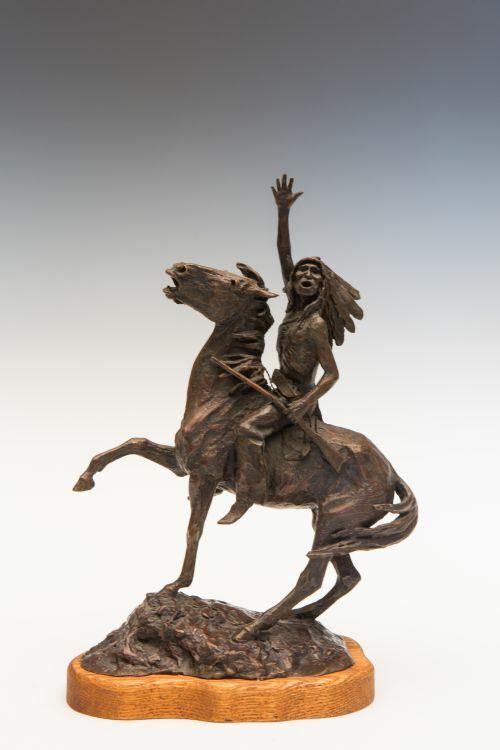 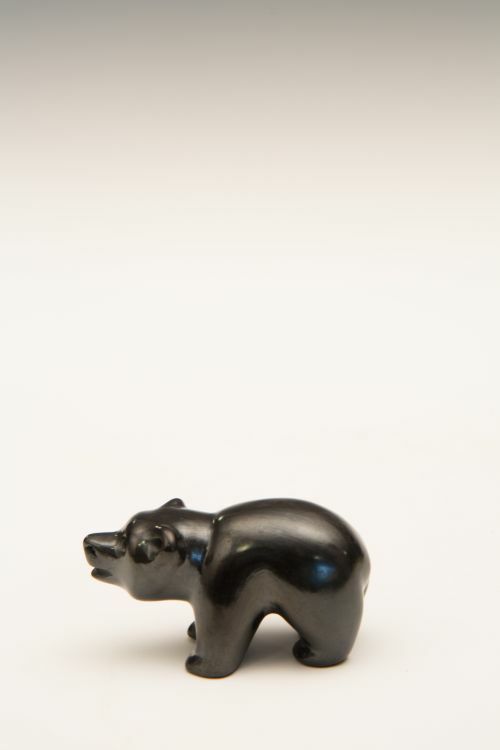 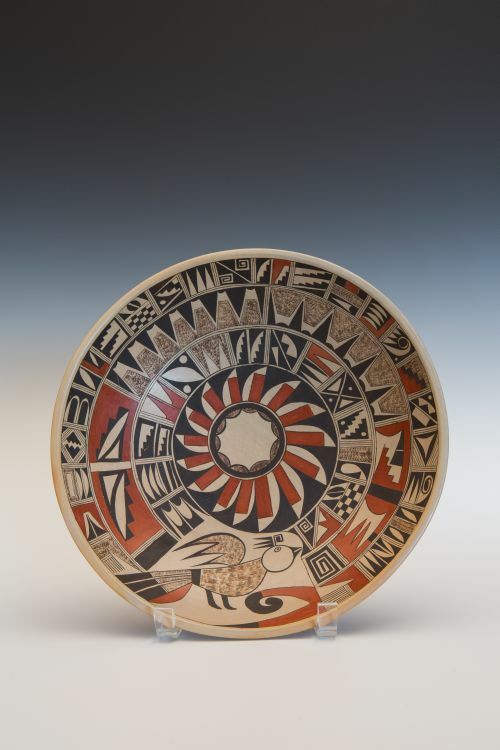 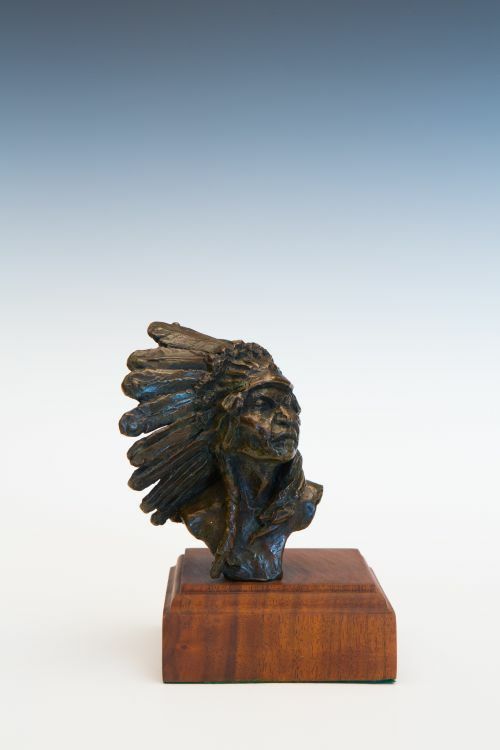 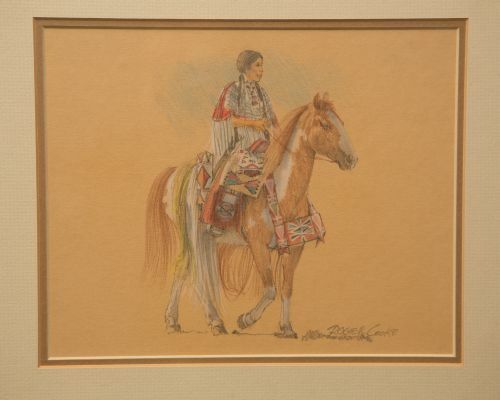 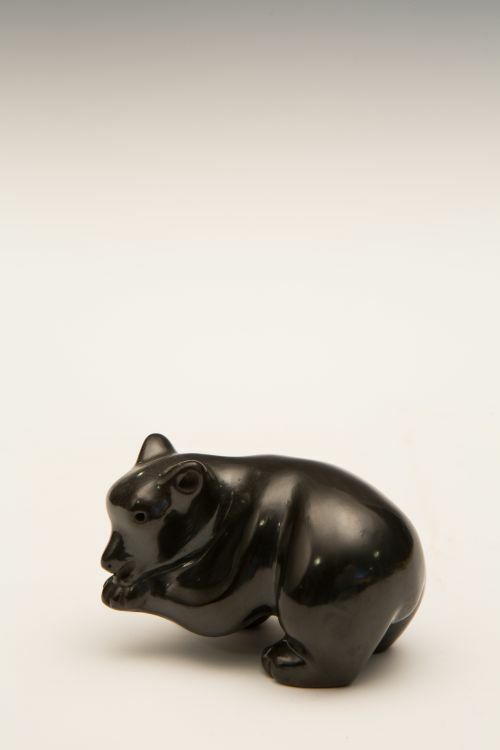 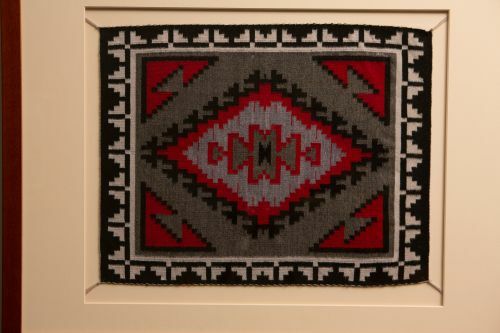 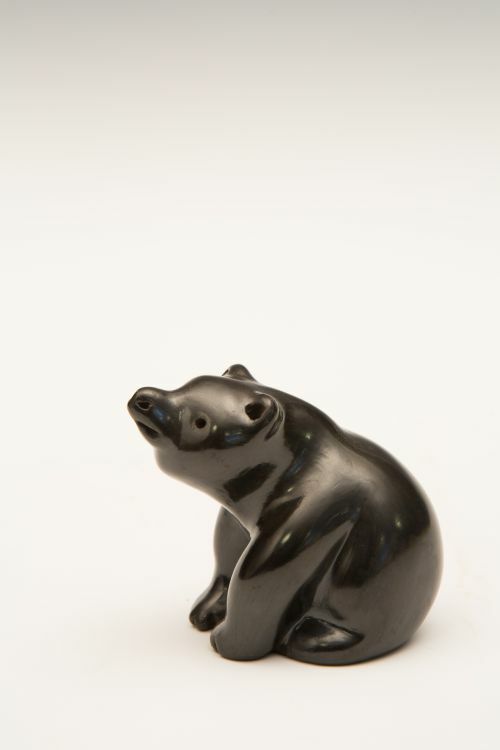 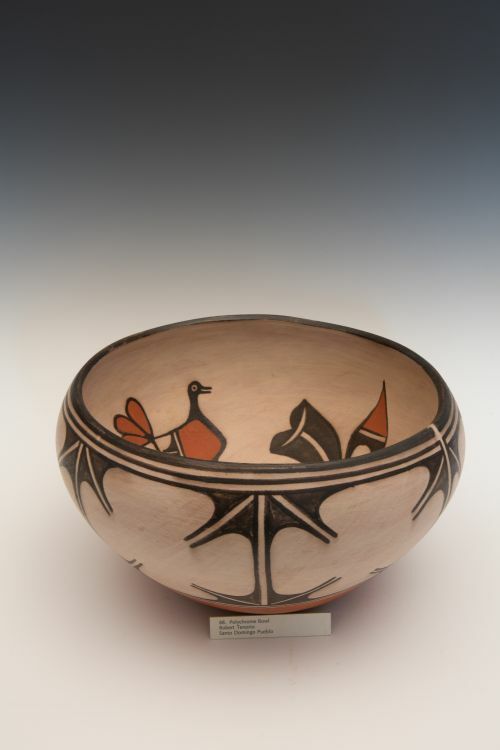 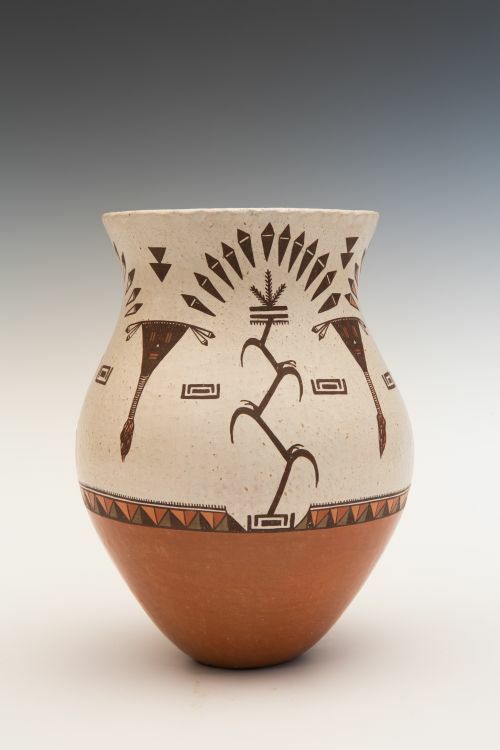 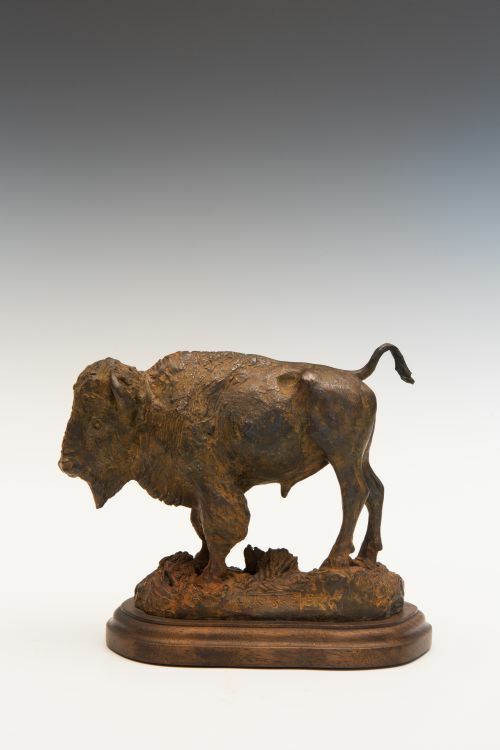 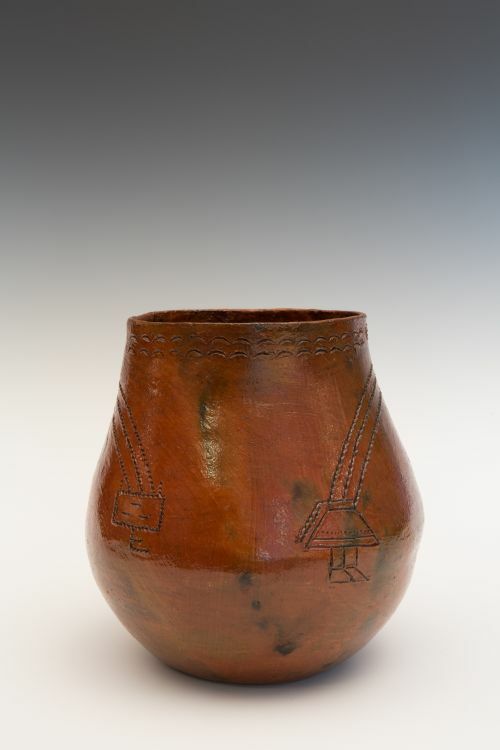 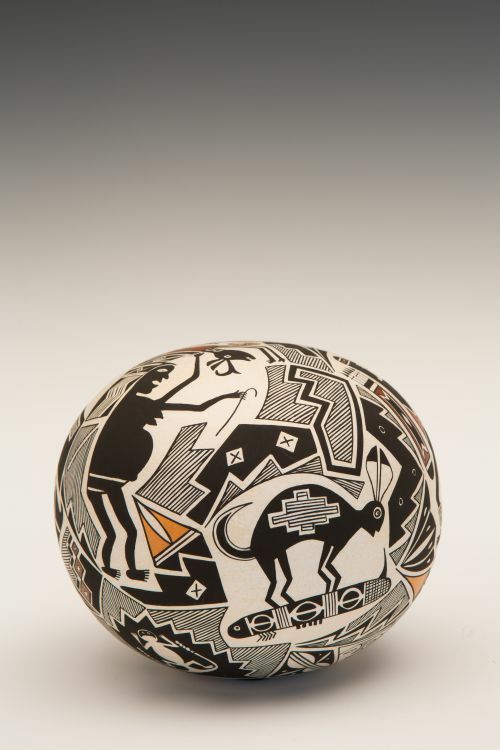 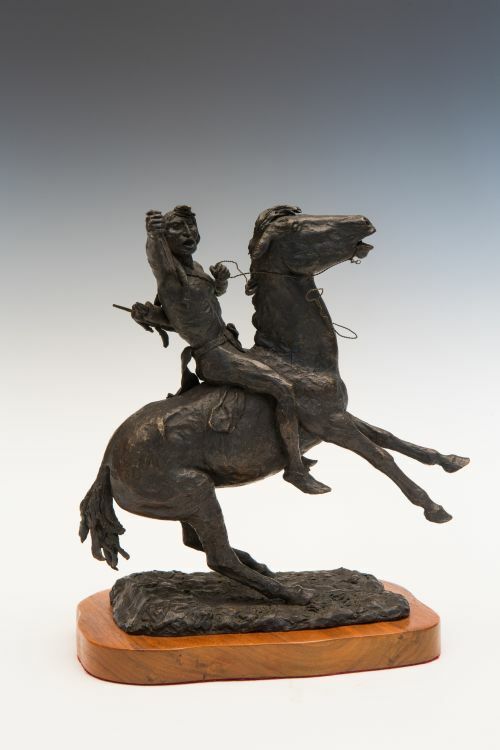 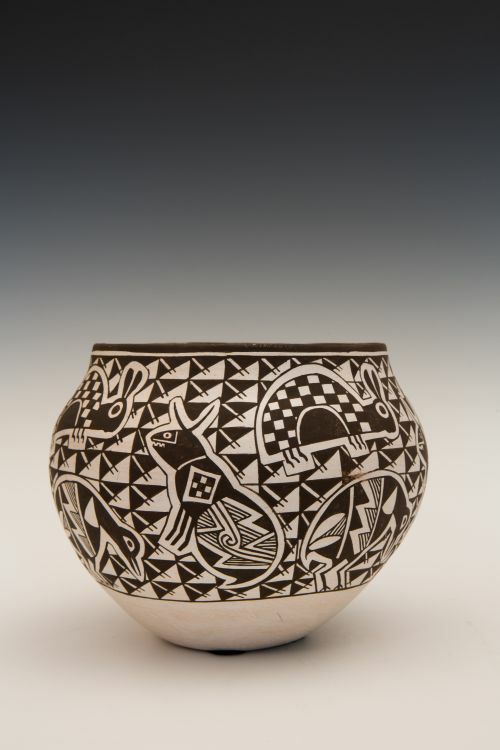 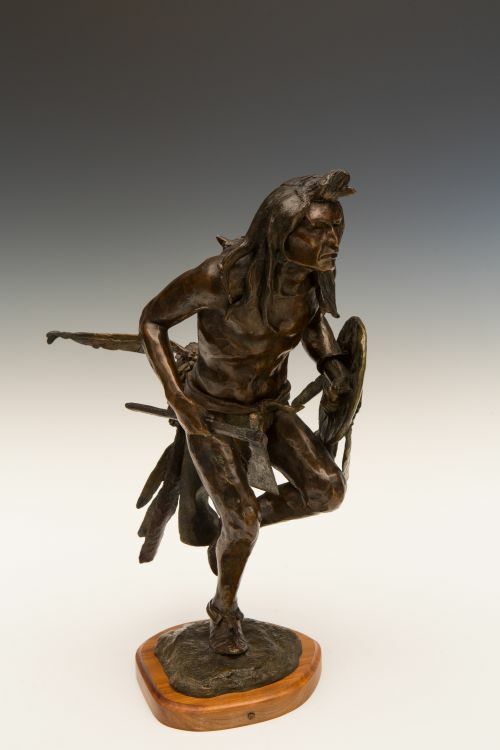 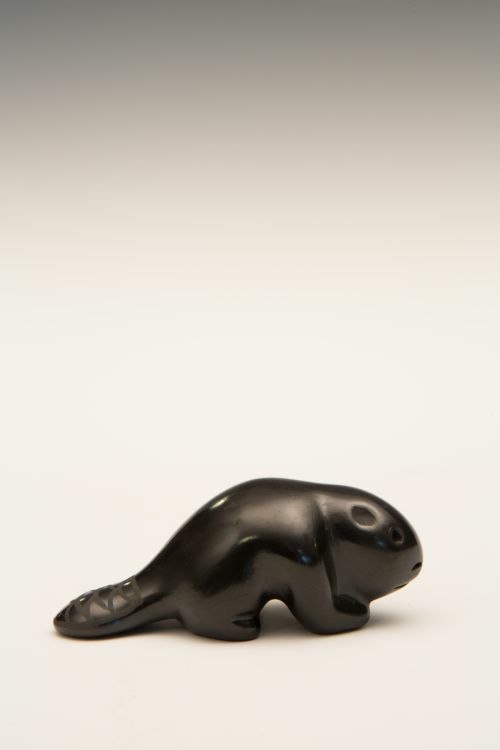 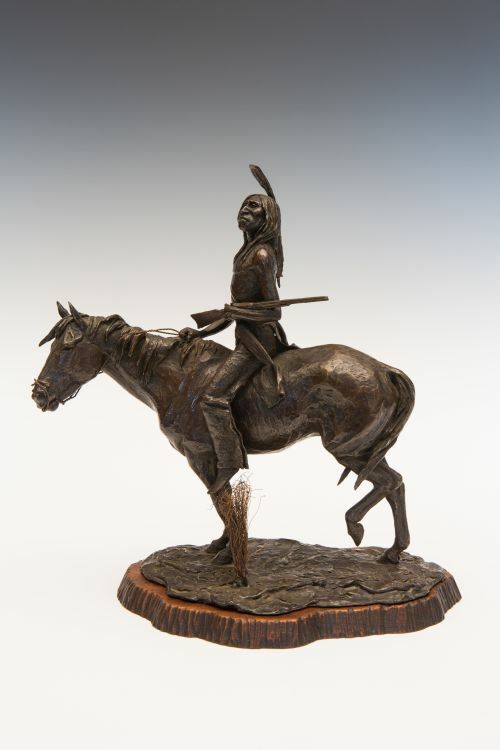 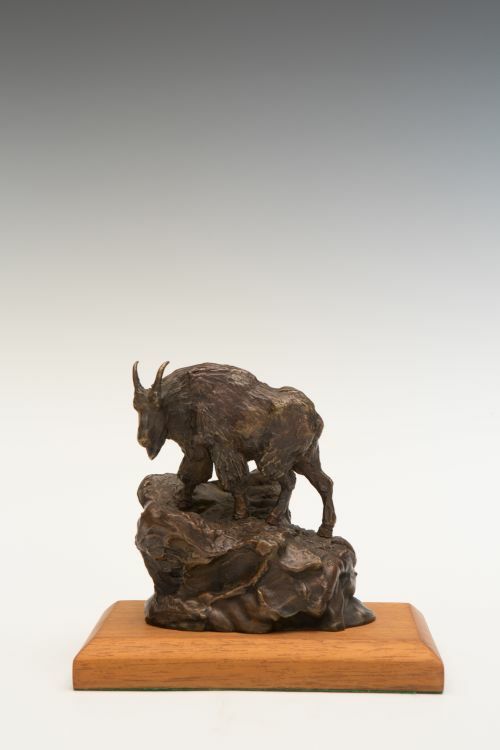 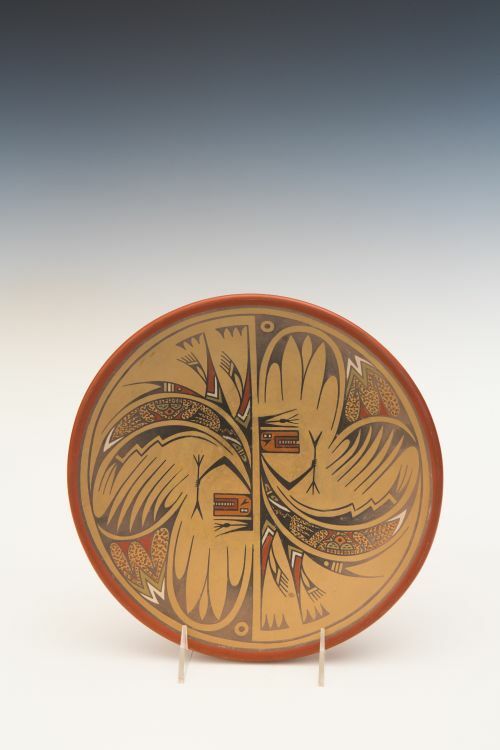 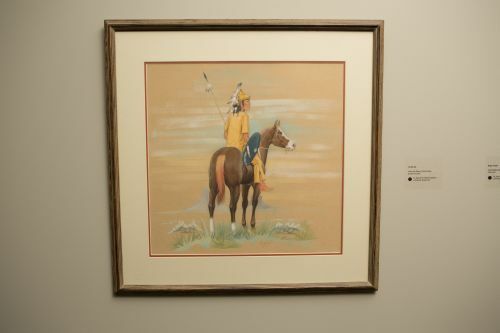 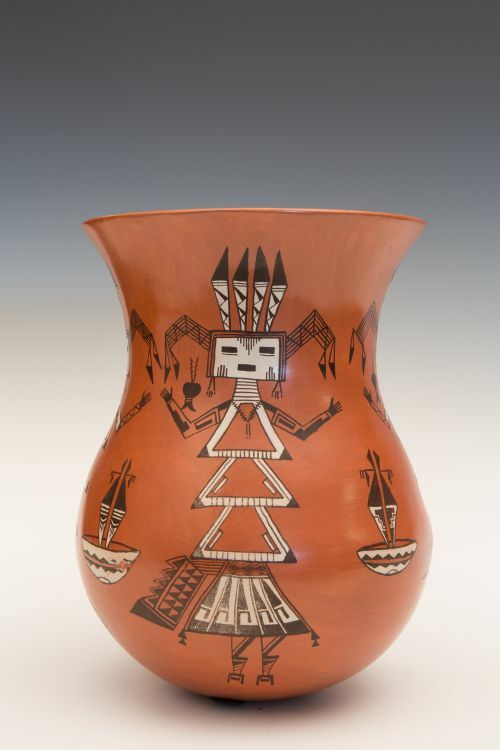 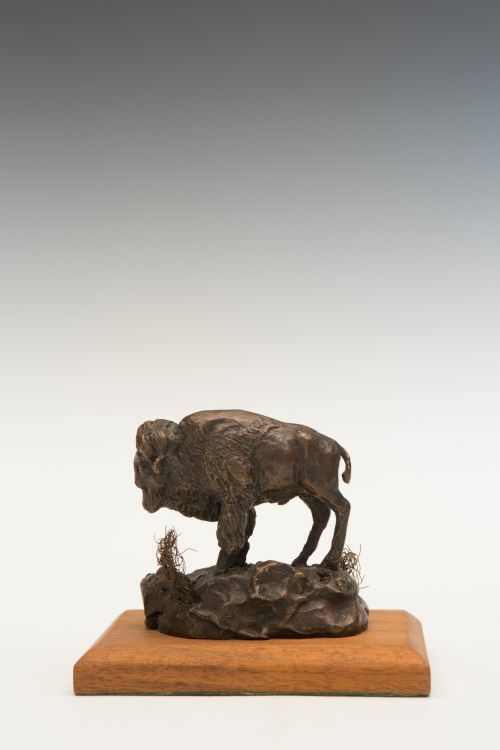 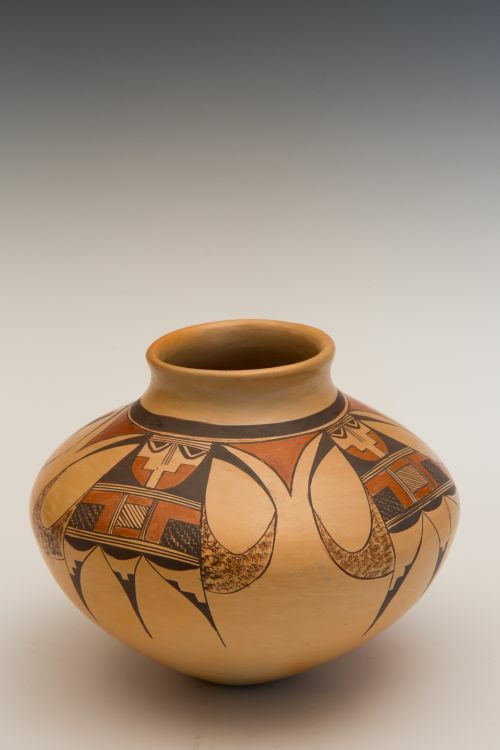 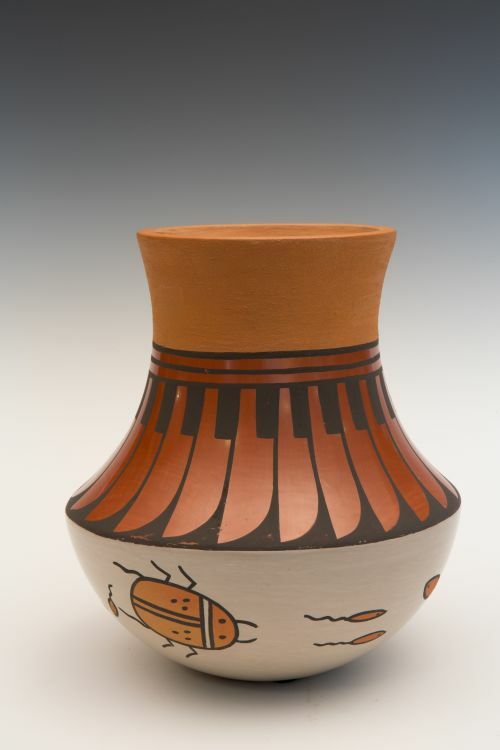 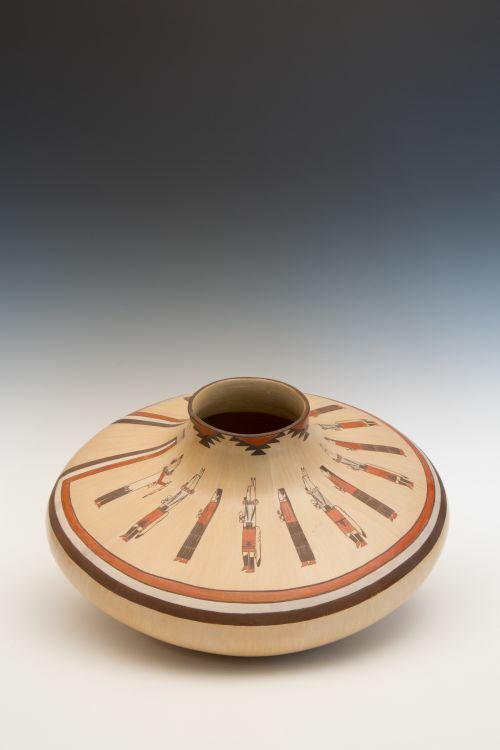 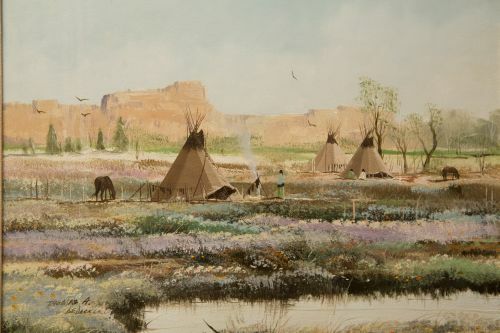 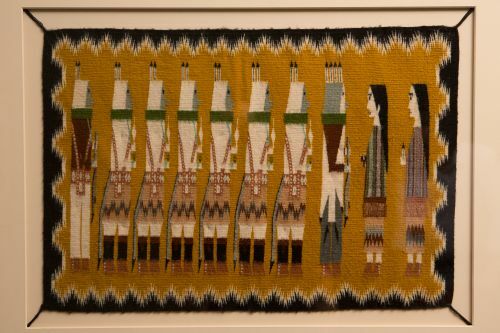 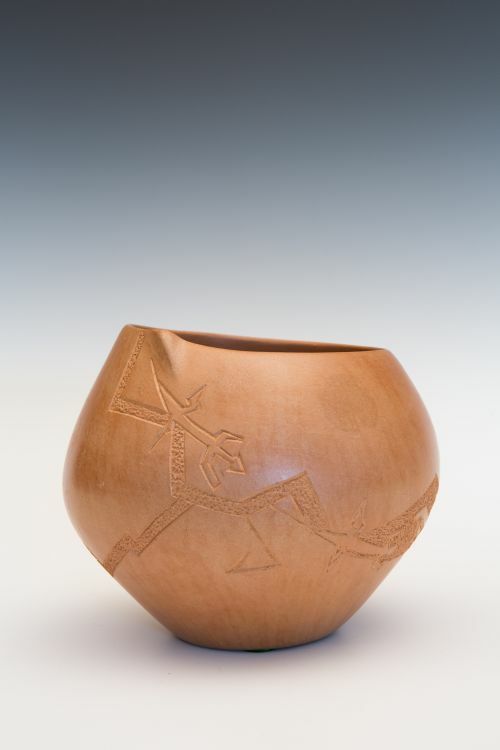 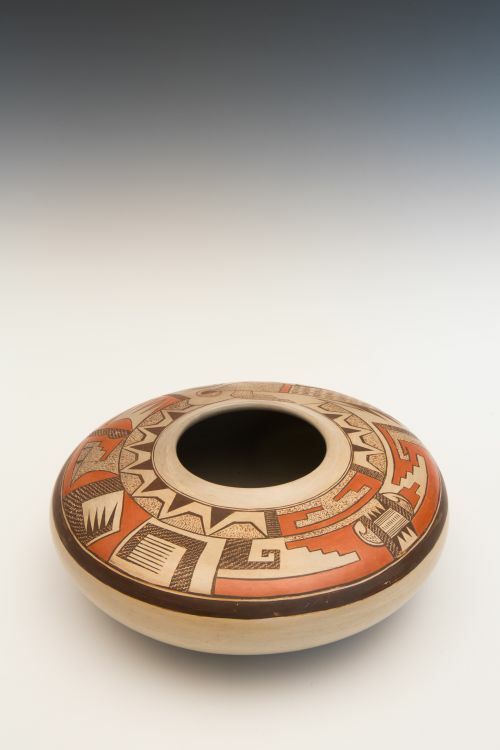 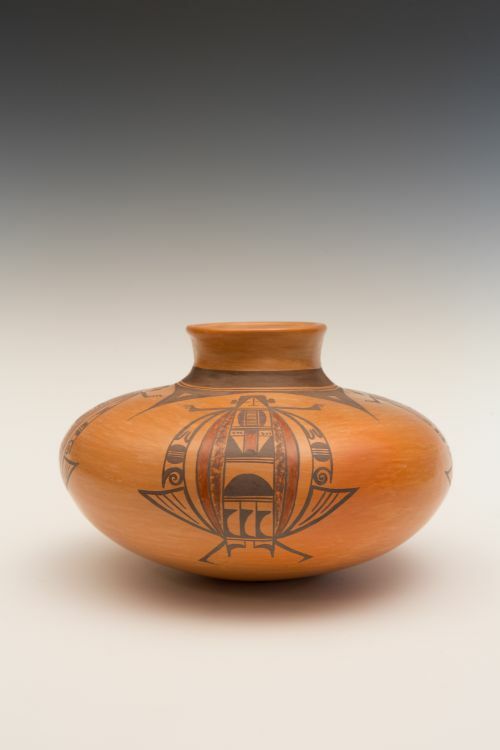 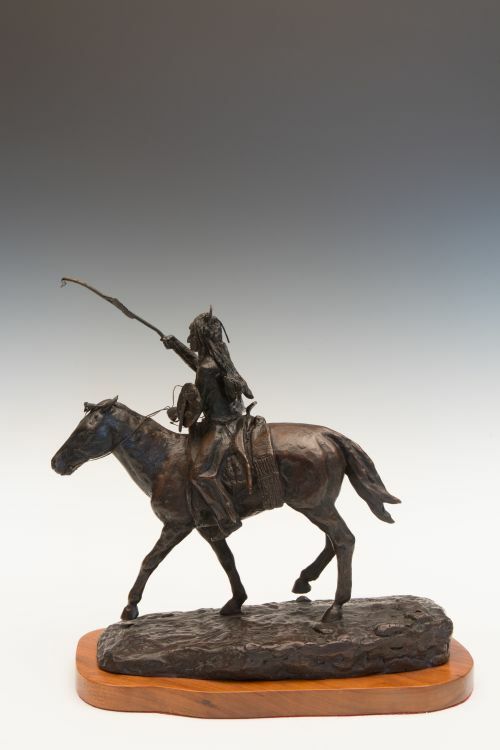 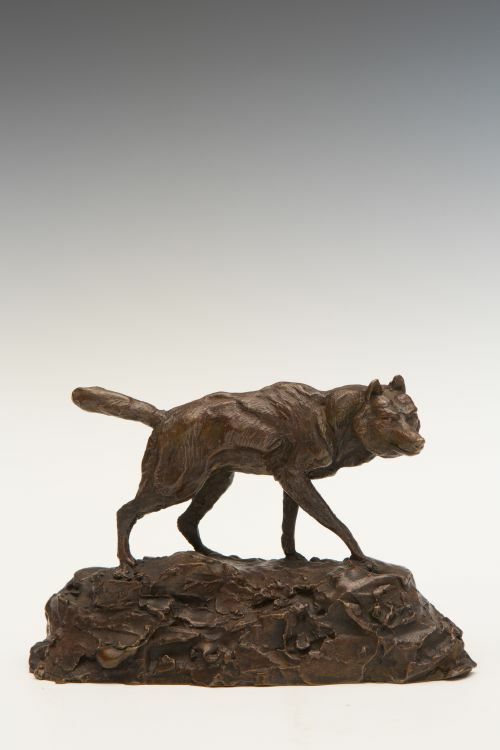 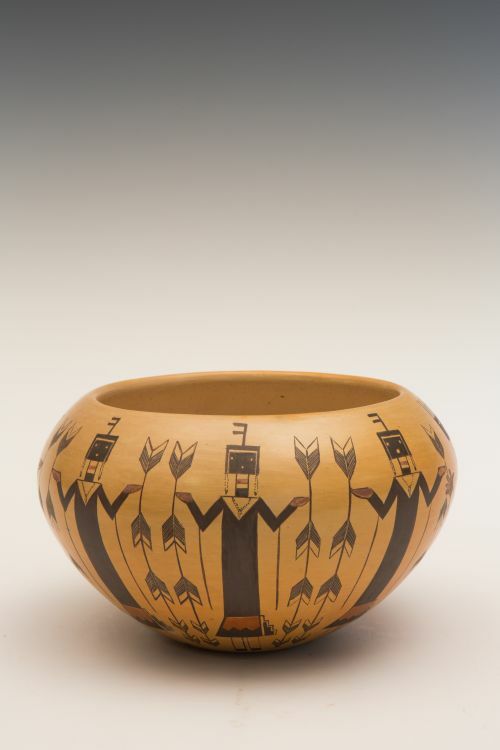 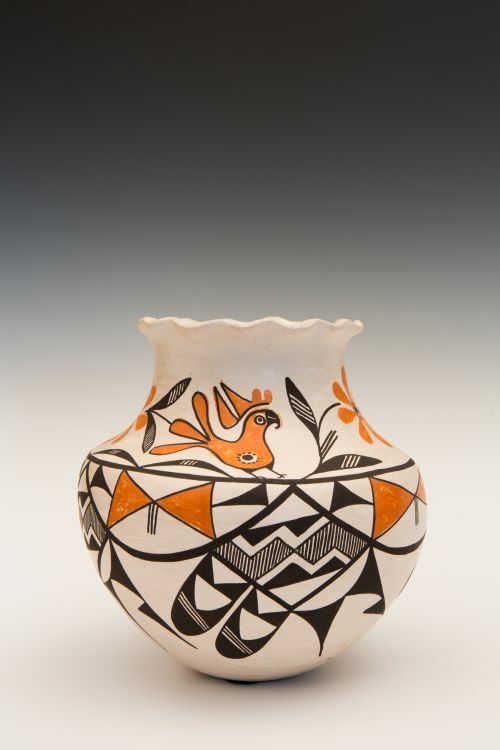 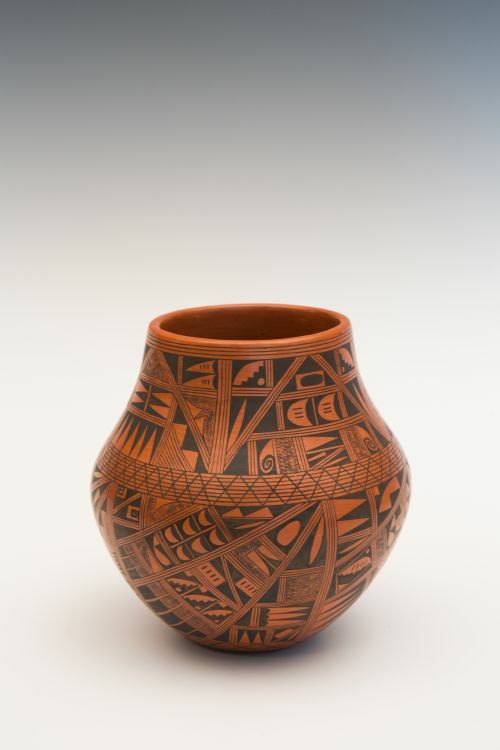 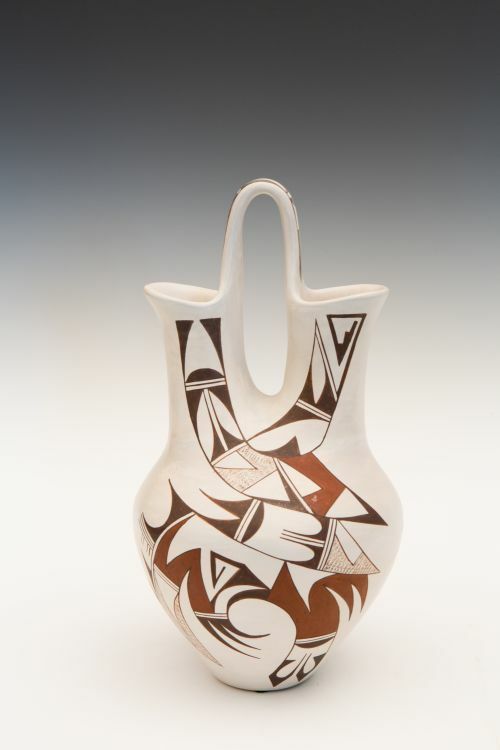 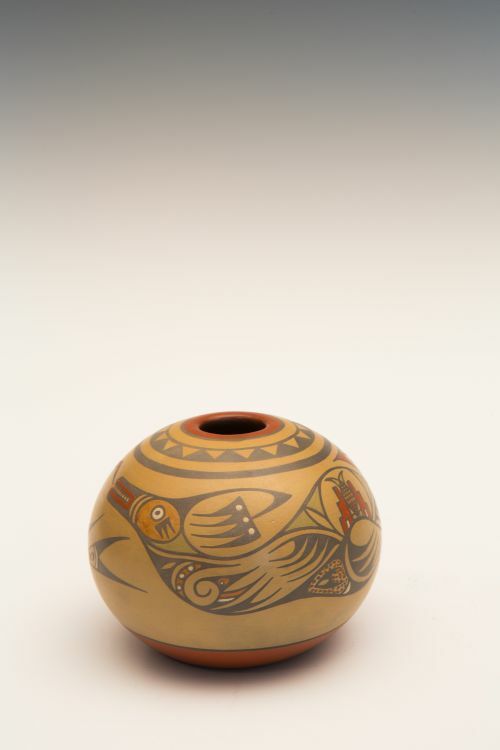 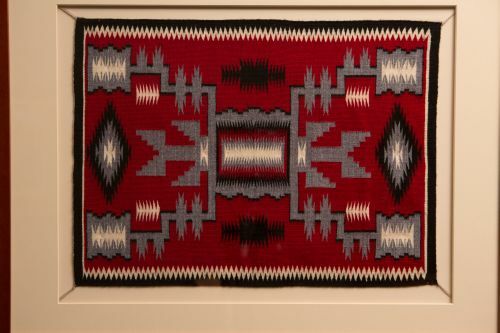 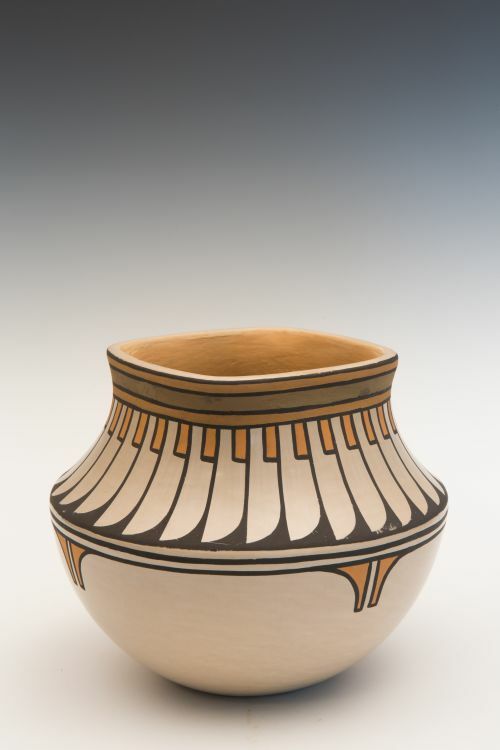 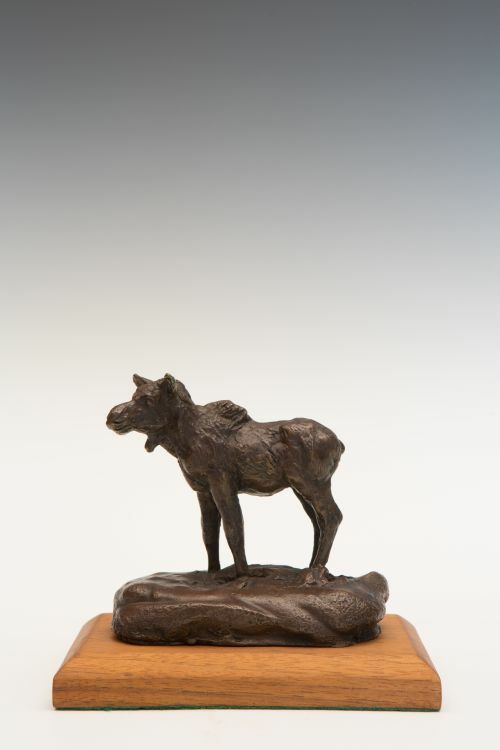 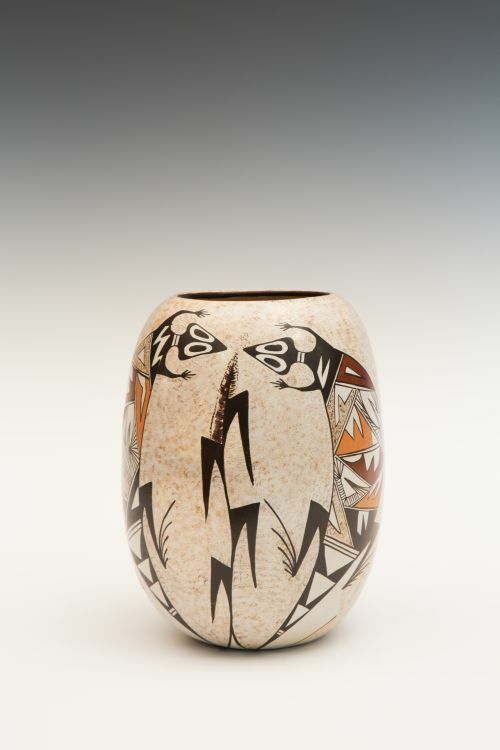 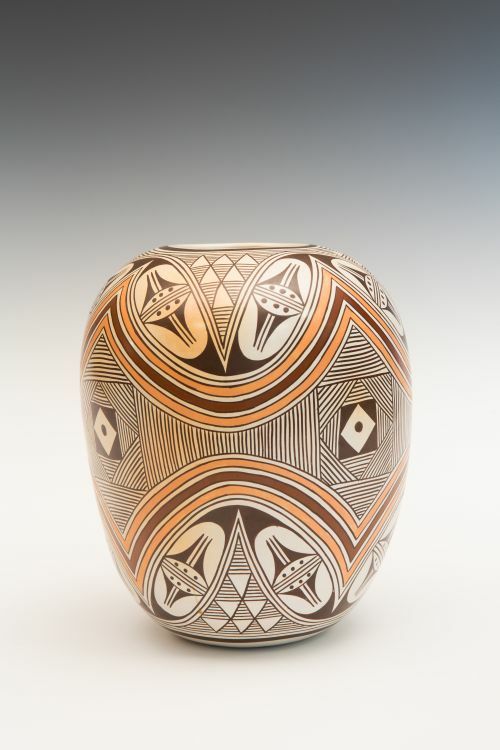 Julian typically combined otherwise diverse symbols from various sources such as archaeological pottery, contemporary Acoma and Hopi Pueblo pottery, and his imagination. 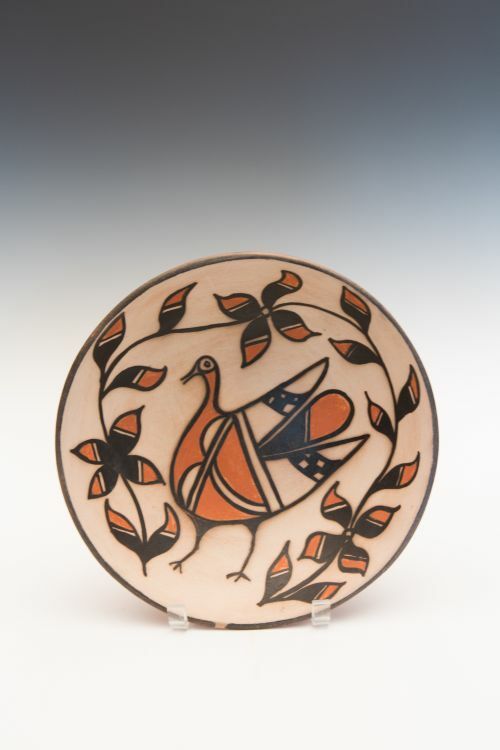 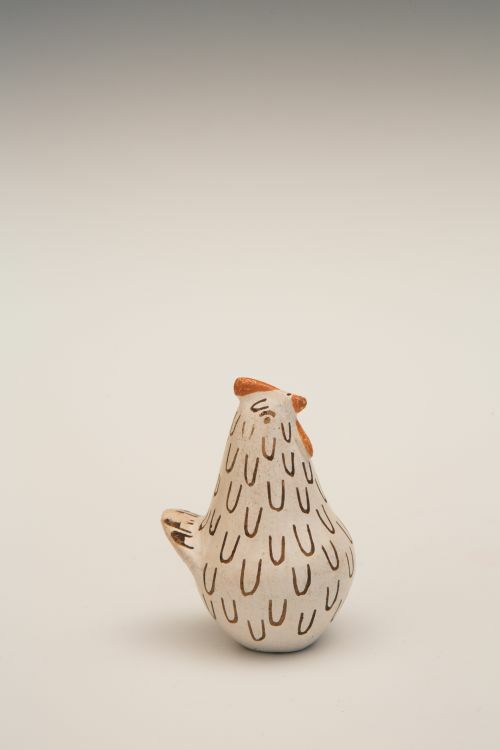 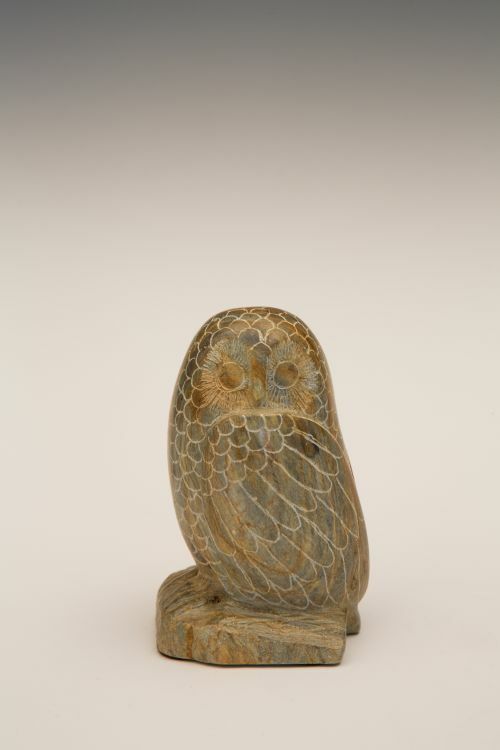 In this plate, he has created a bird figure, with triangular tail feathers and a gently sloping head and peak. 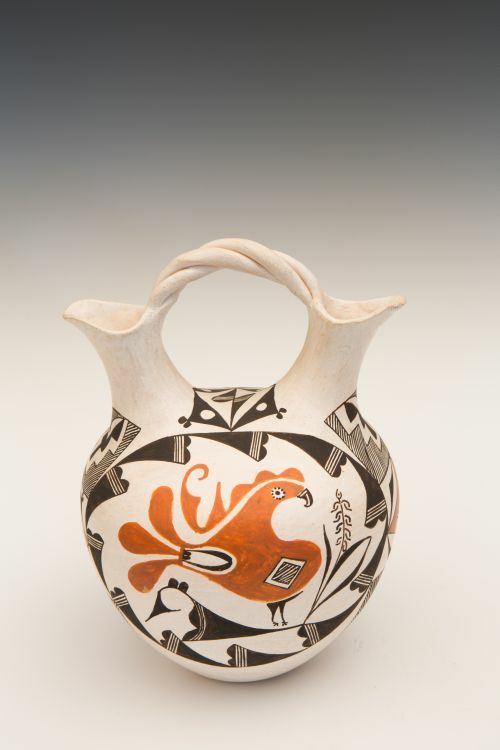 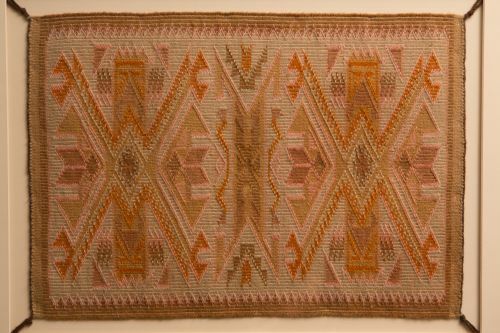 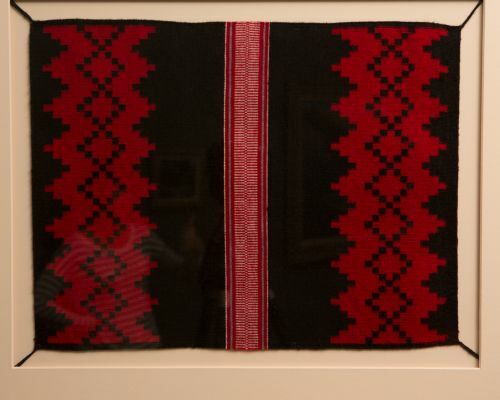 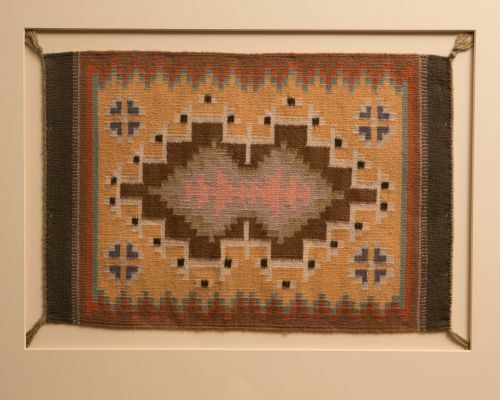 Within the bird are ancient symbols of textiles, feathers, and mountains.